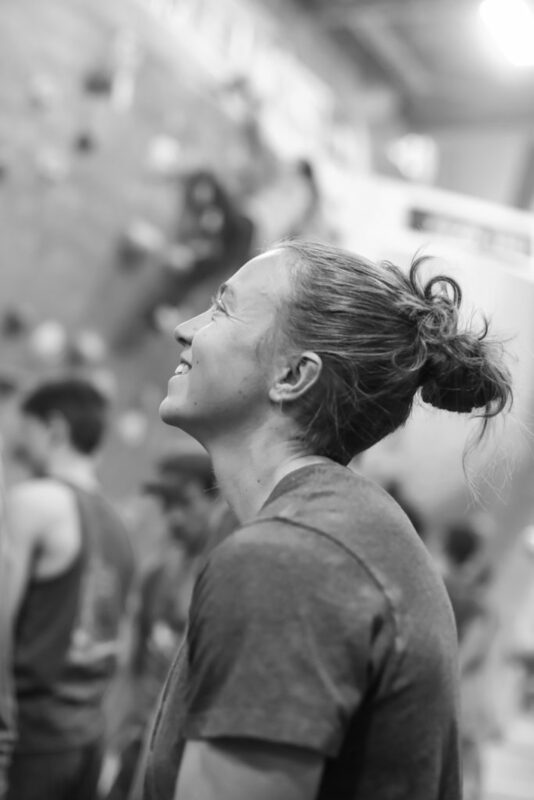 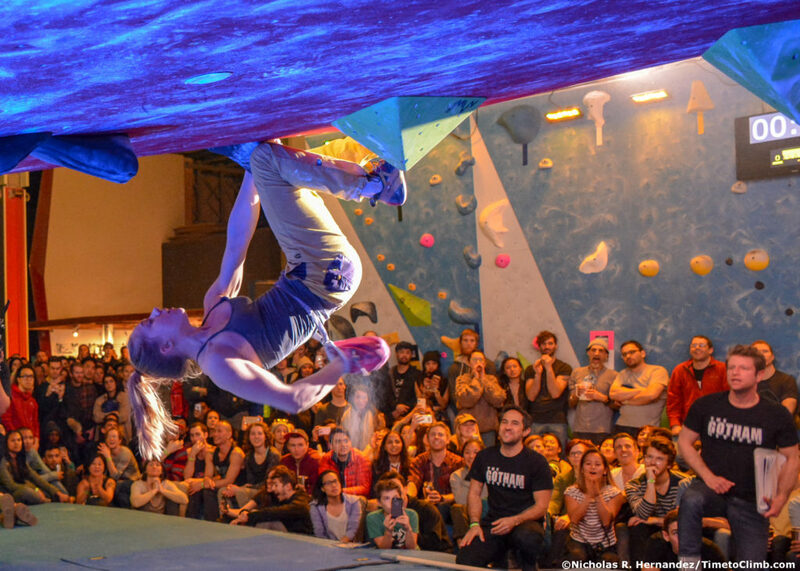 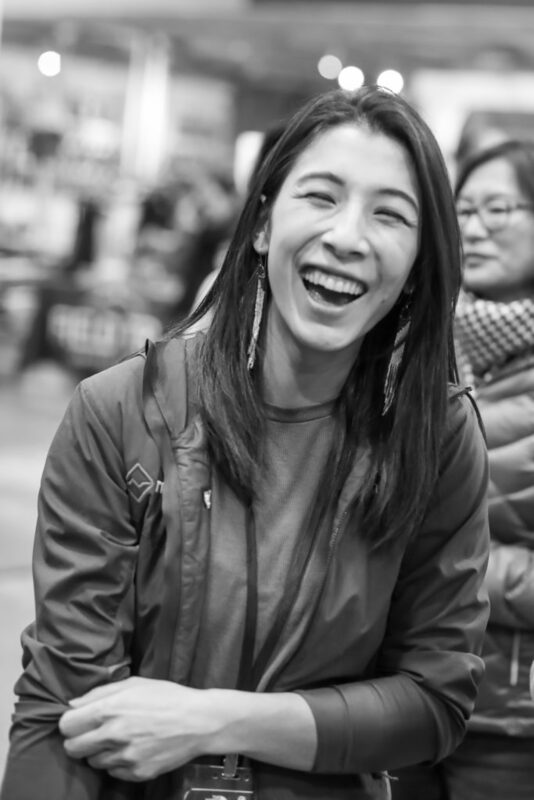 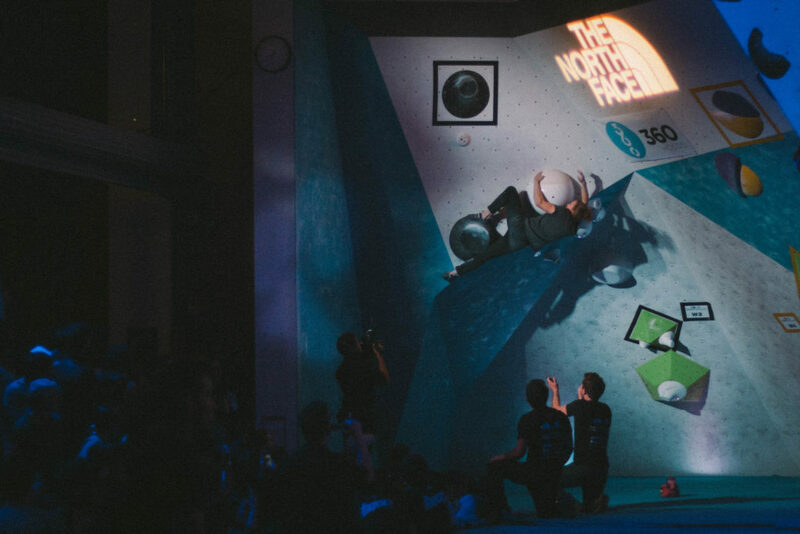 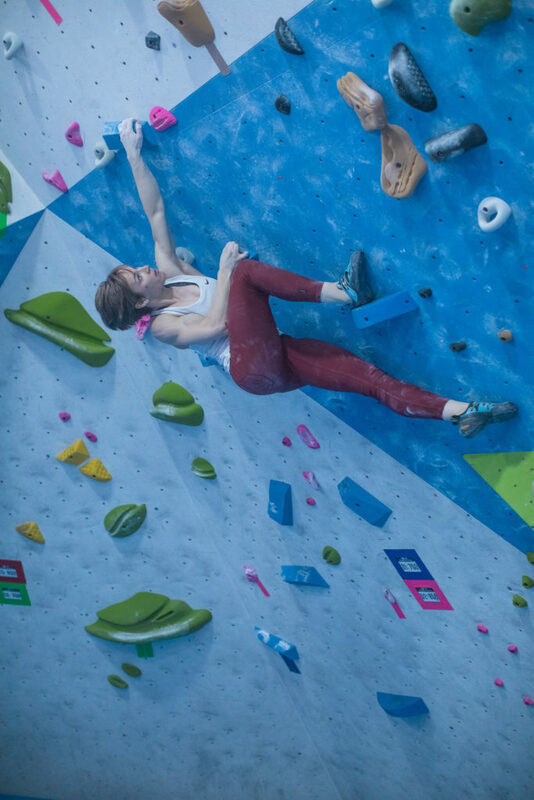 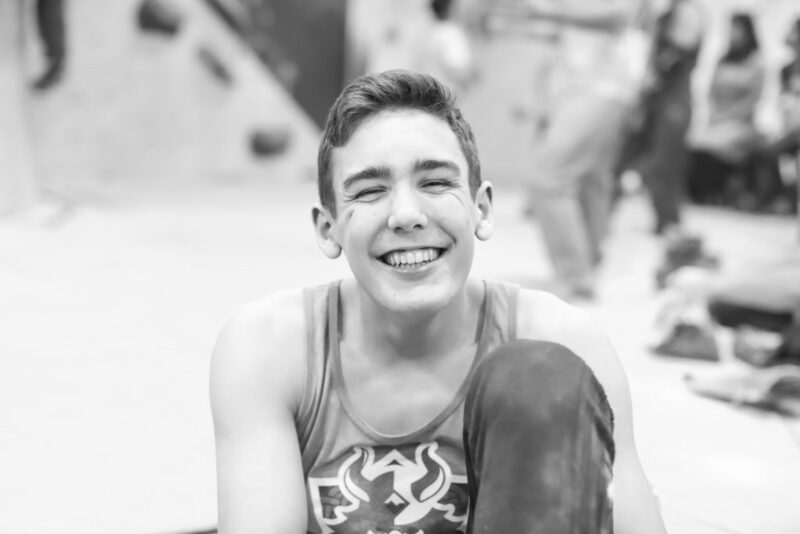 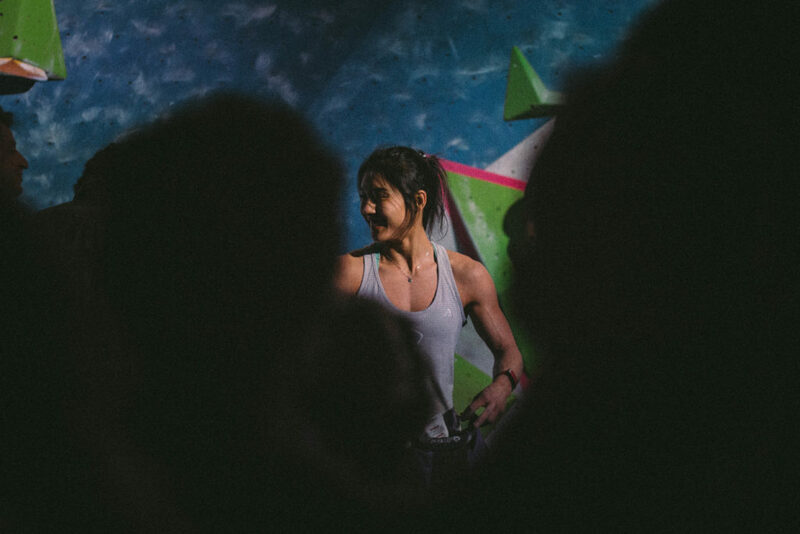 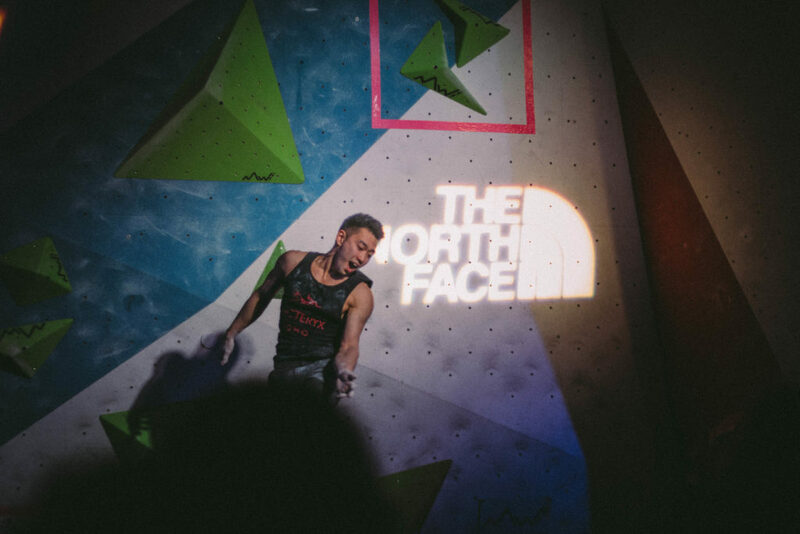 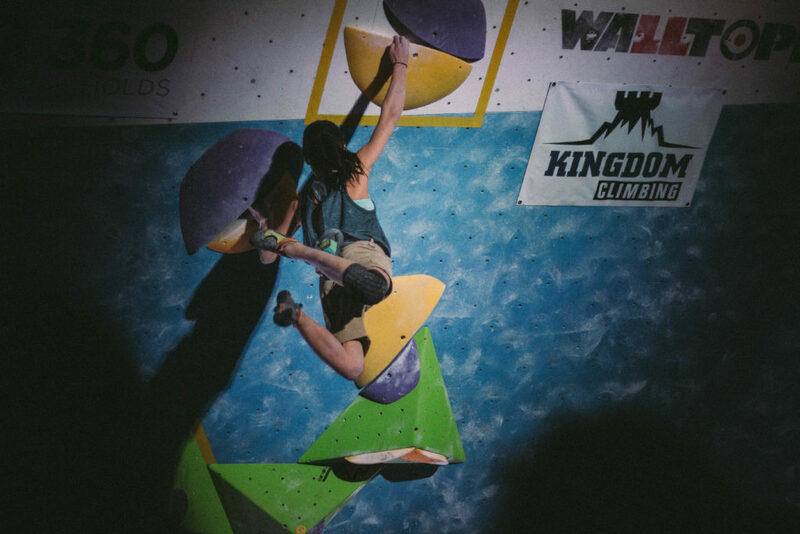 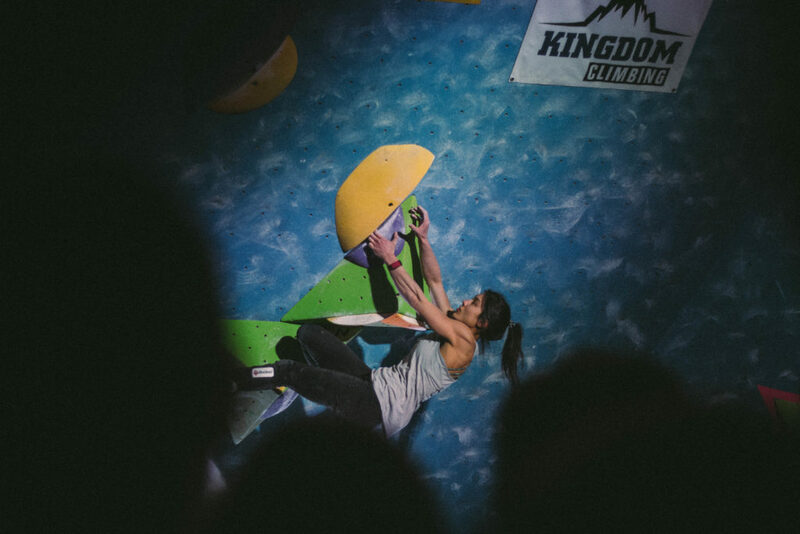 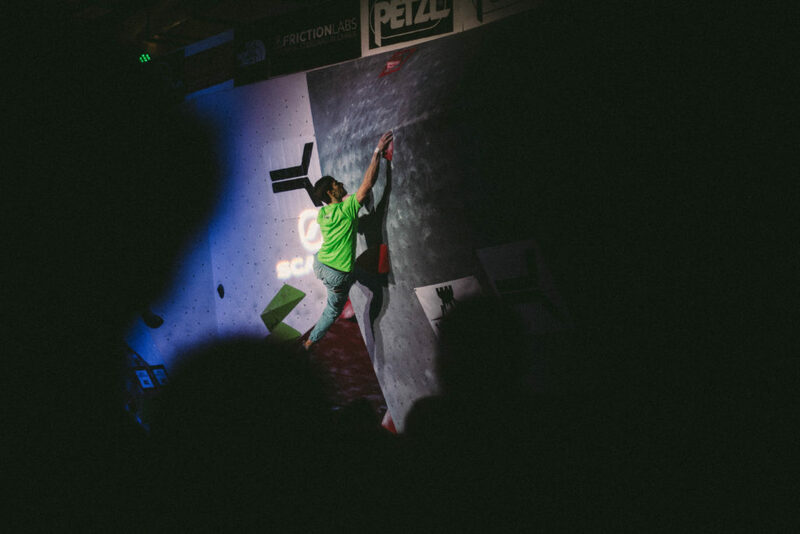 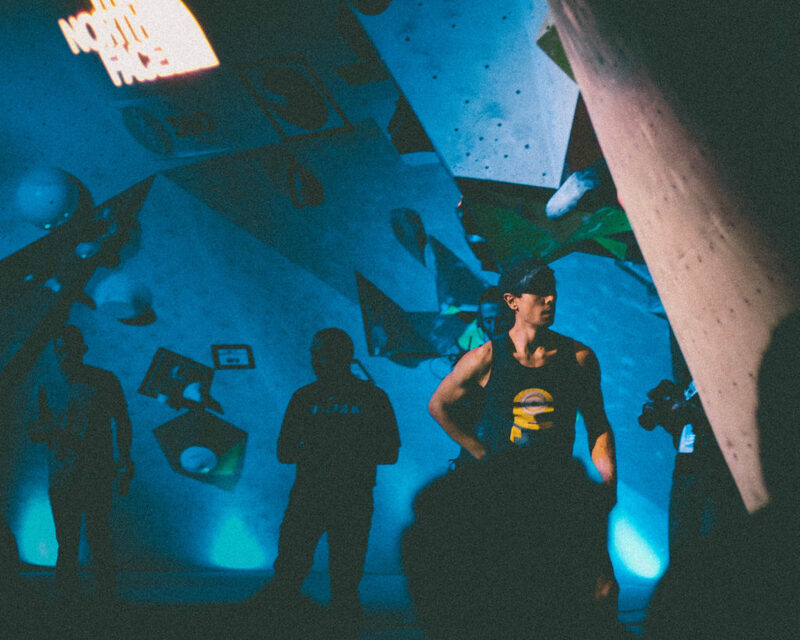 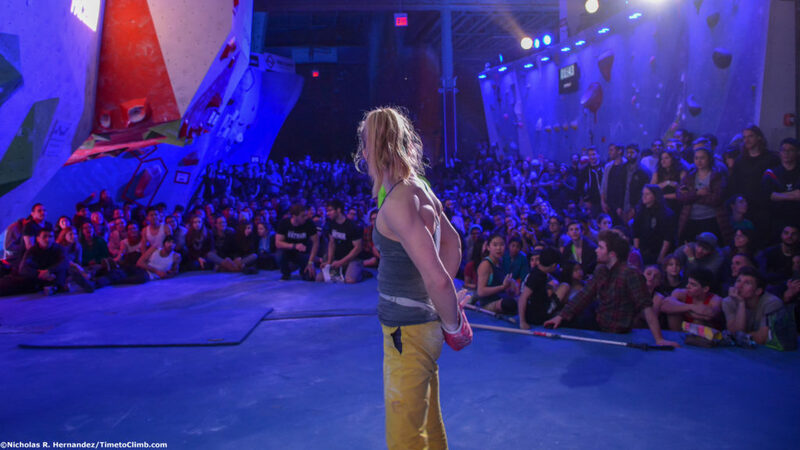 The Tri-State Bouldering Series Championship brings out some of the best pro climbers in the country! 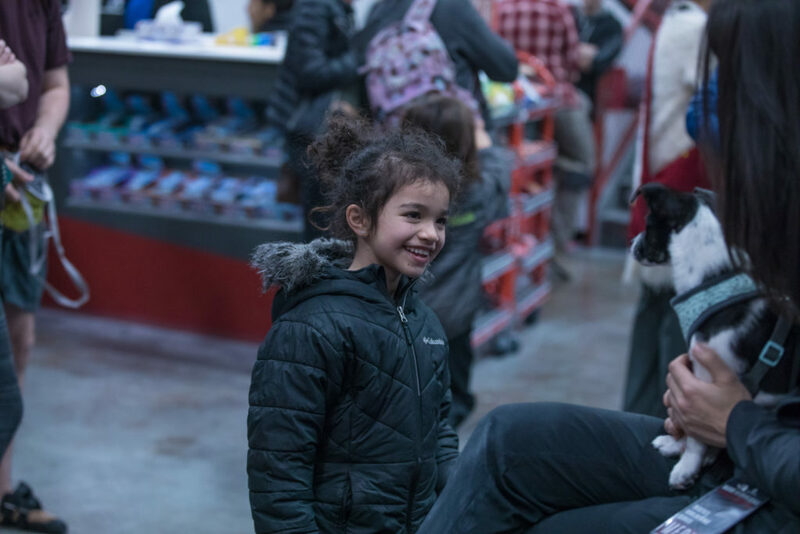 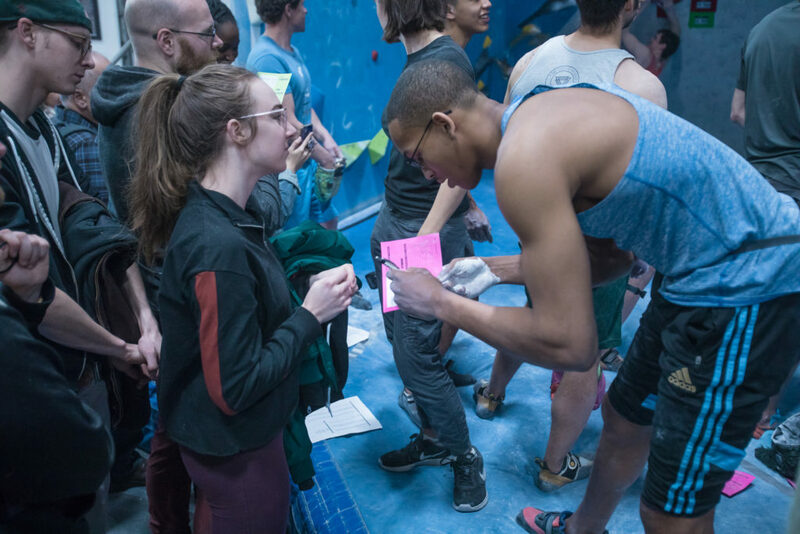 This year was no different with names like Kai Lightner, Alanna Yip, Nathaniel Coleman, and Paul Robinson just to name a few! 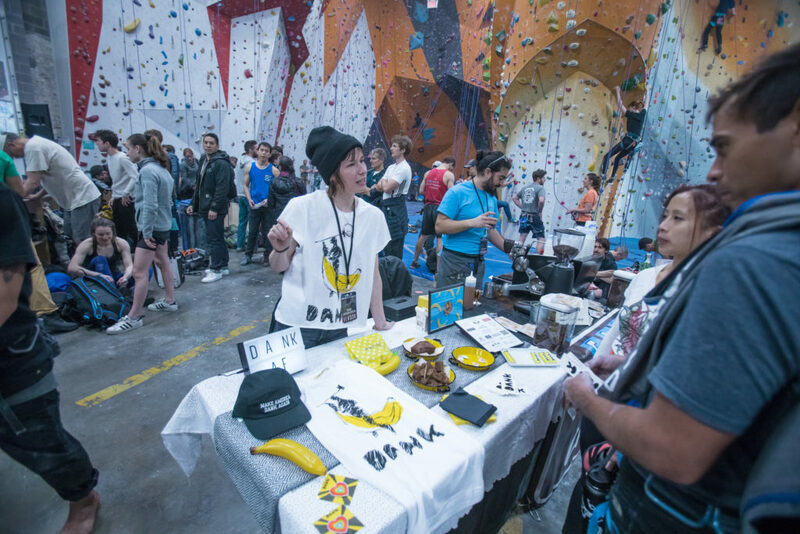 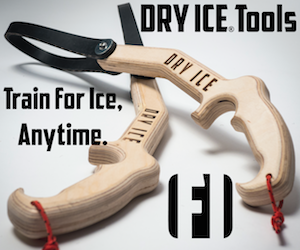 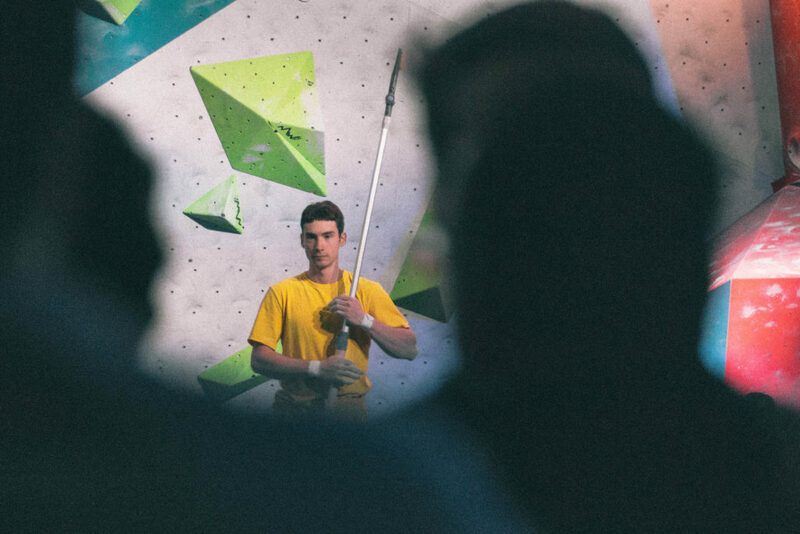 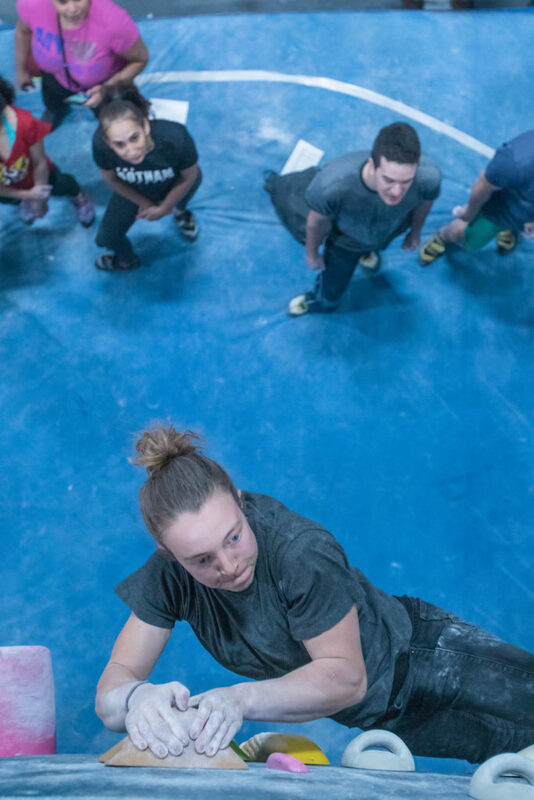 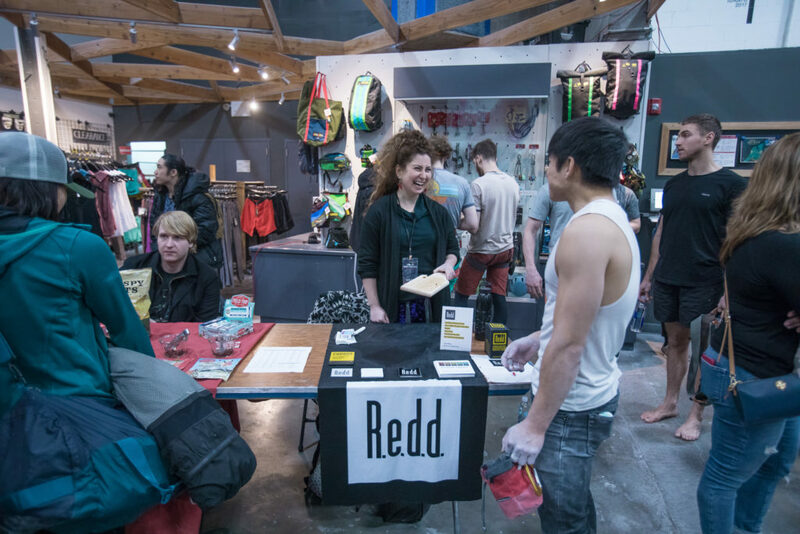 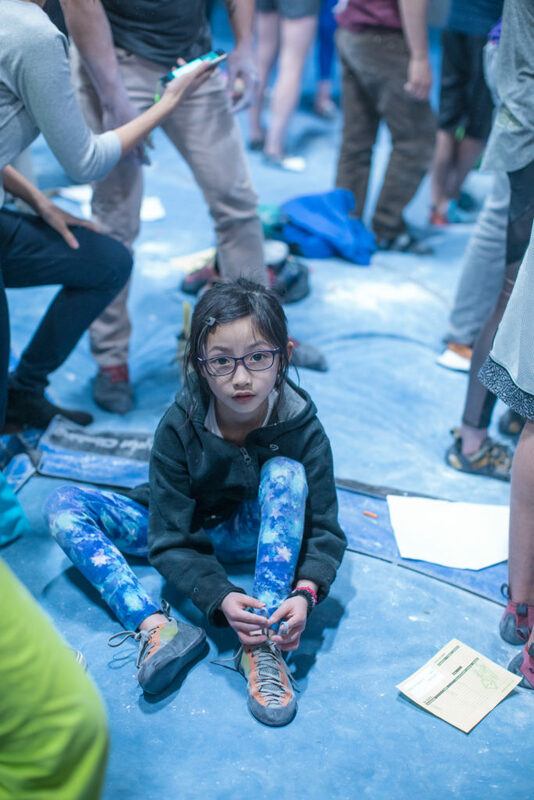 We got to see a lot of familiar faces, and local strong up & coming climbers alike who were at previous series stops of Send Train, Rock-It-Power, and The Brawl! 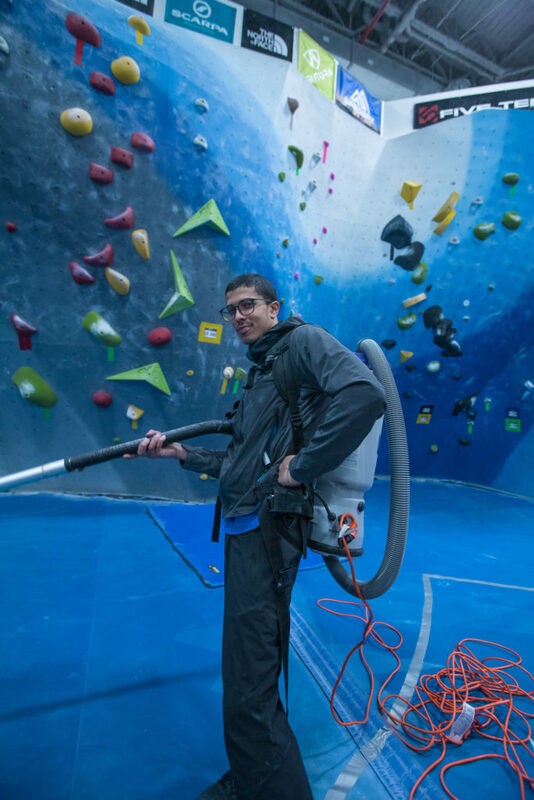 We had Nick Hernandez on site to take the pics & catch all the action for Time to Climb. 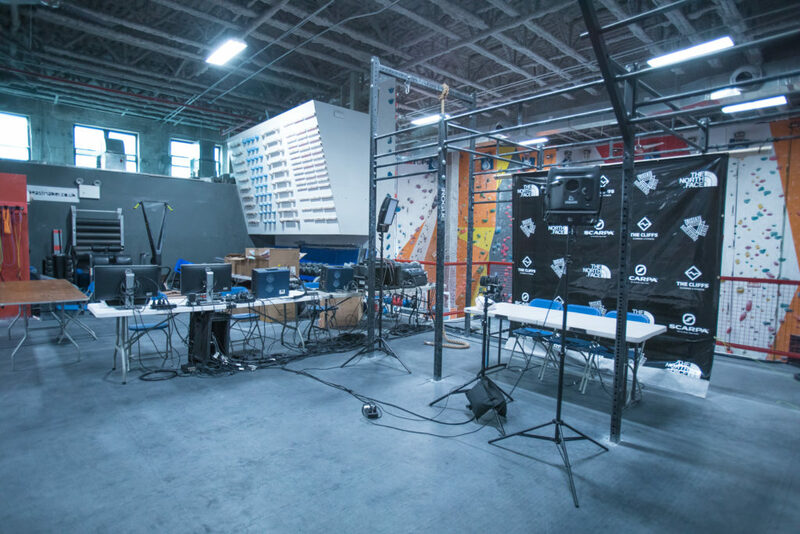 We also coordinated with the TBS crew and the other photographers onsite to bring you their perspective and the replay from finals! 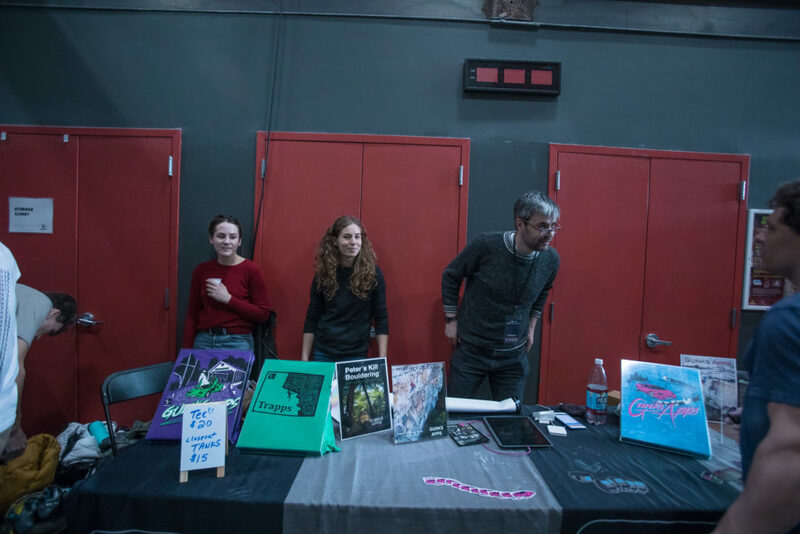 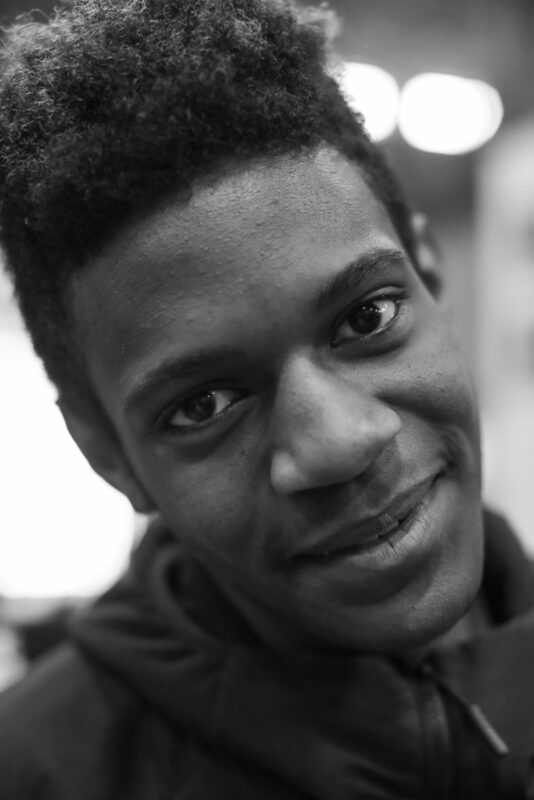 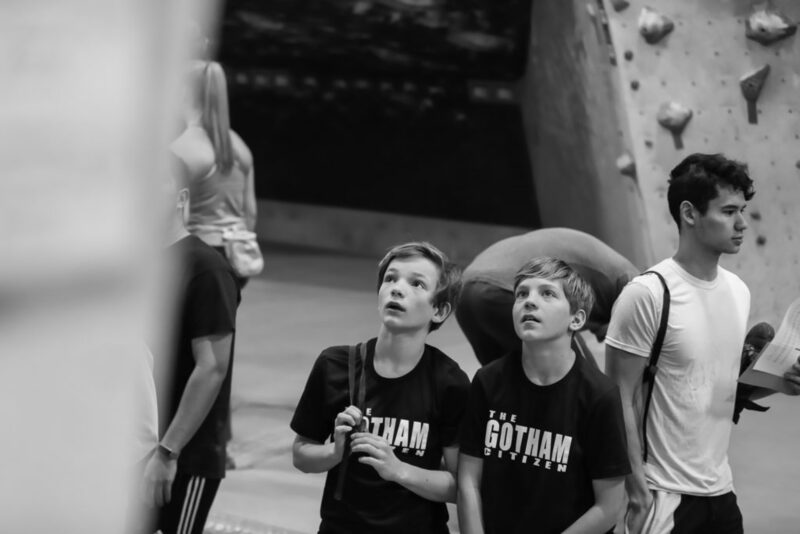 Here are the shots Sasha Turrentine captured from the Gotham Citizen Competition Portion of the day! 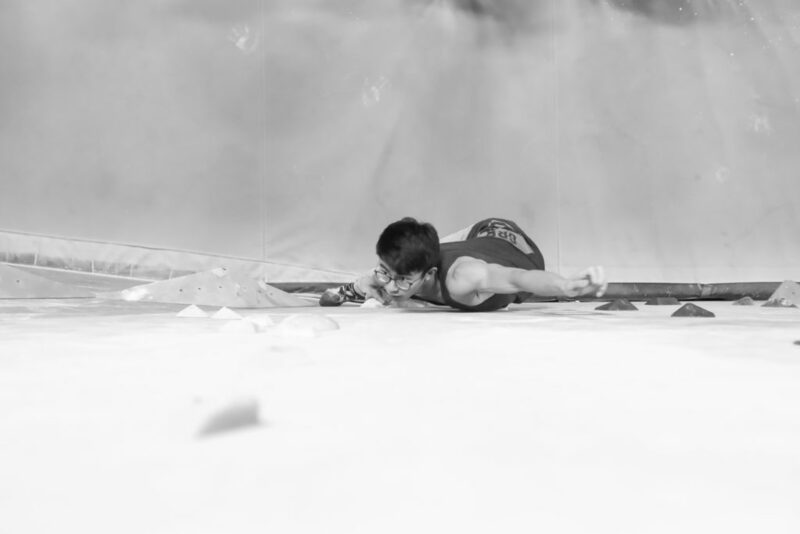 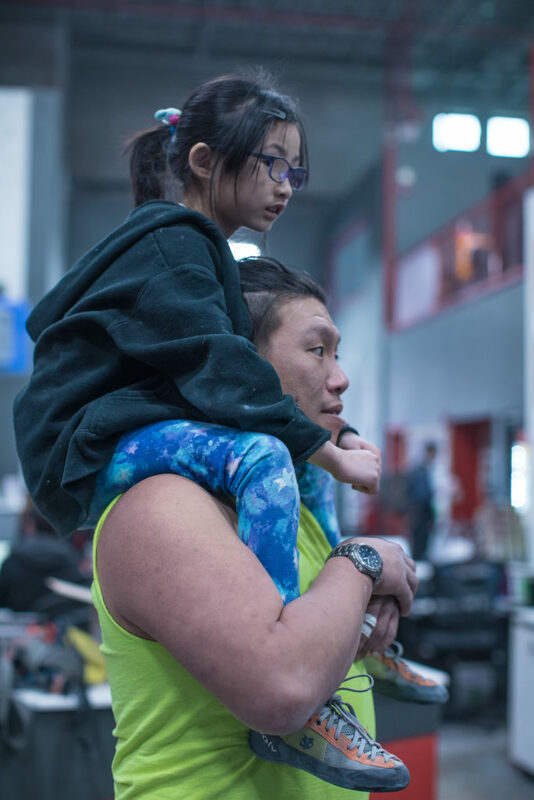 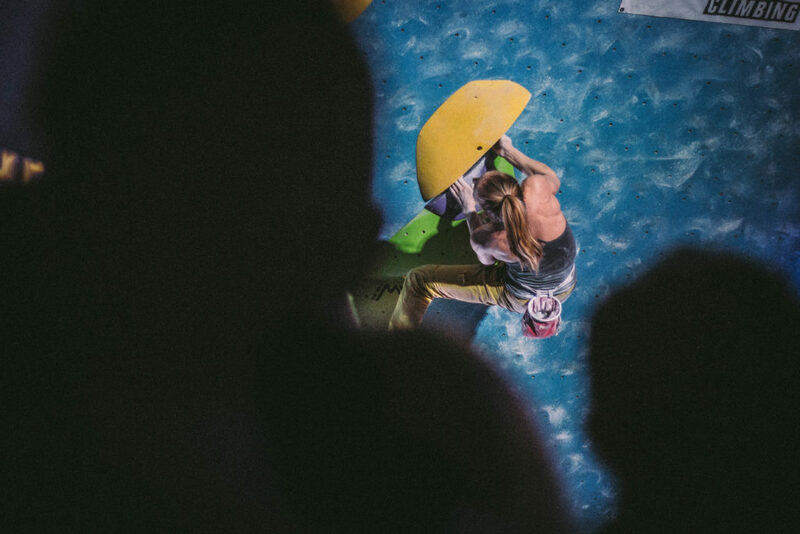 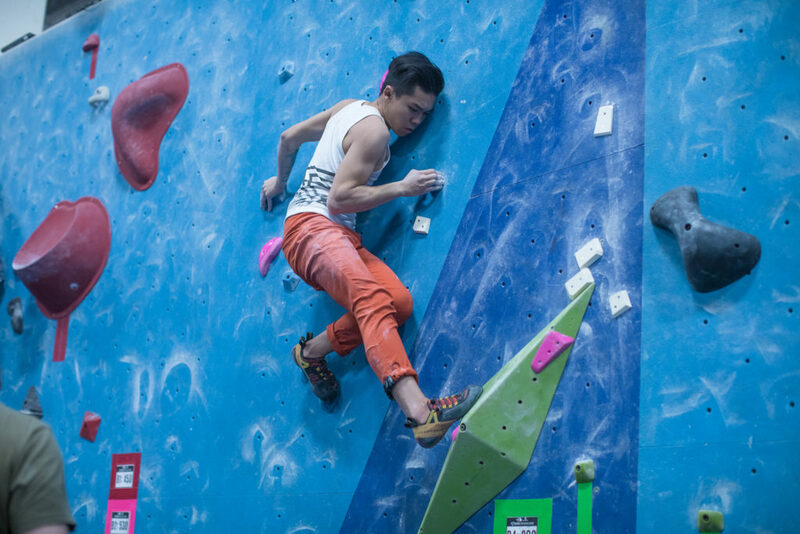 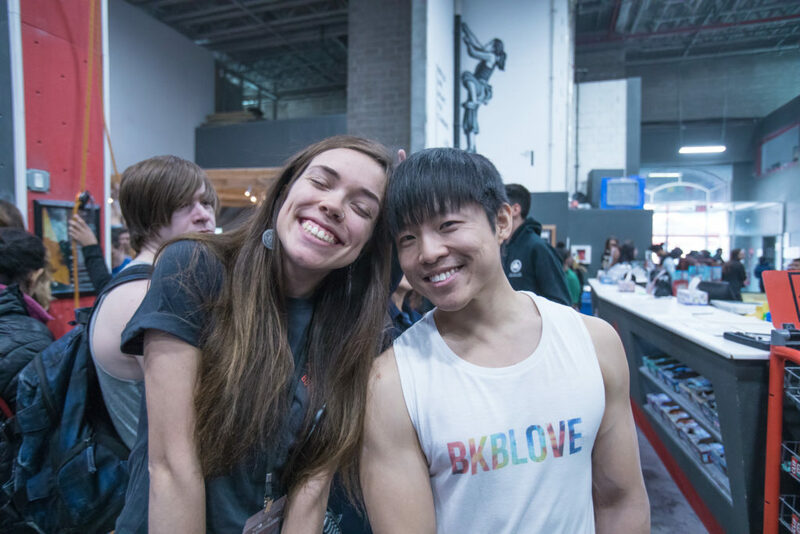 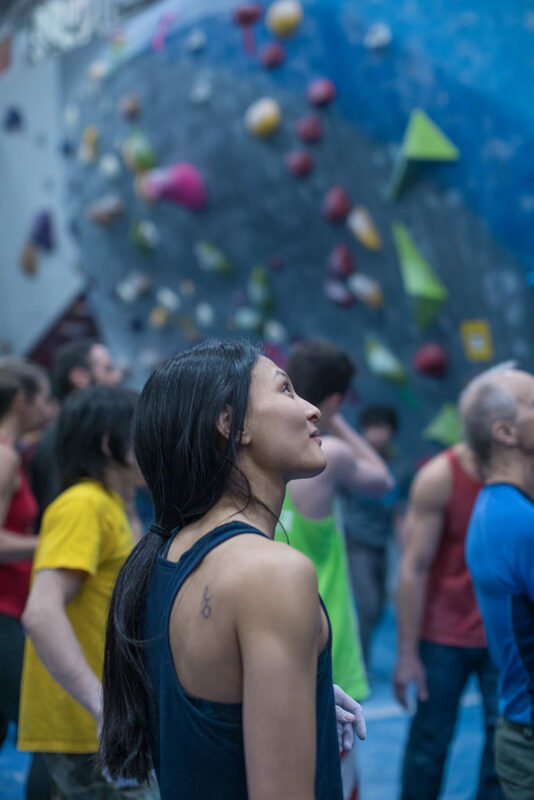 Here are the shots Andy Lu captured from the spectator’s perspective during the Tri-State Bouldering Series Championship Finals! 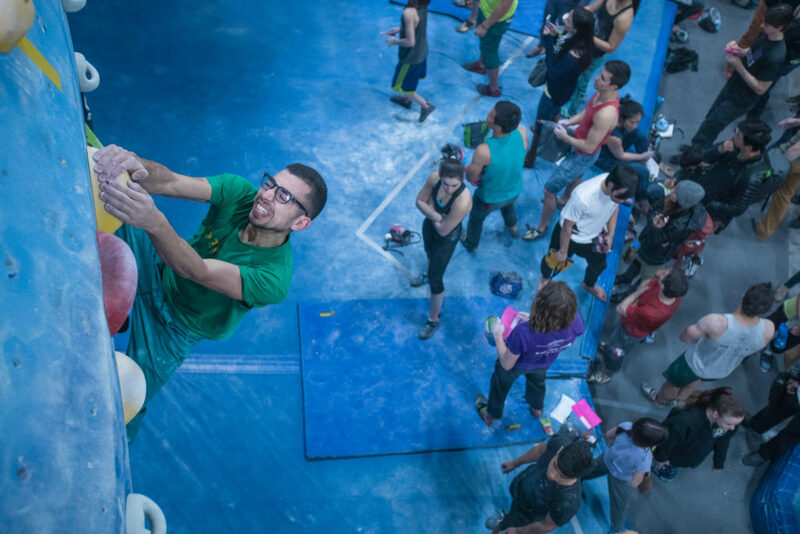 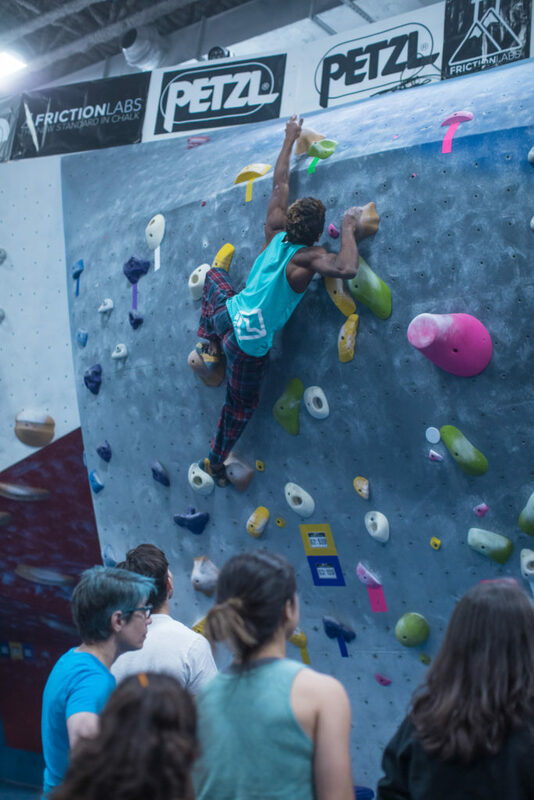 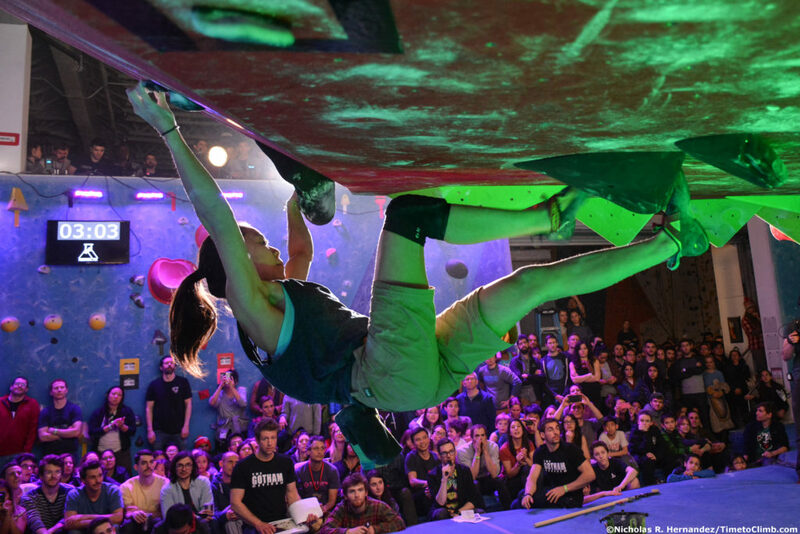 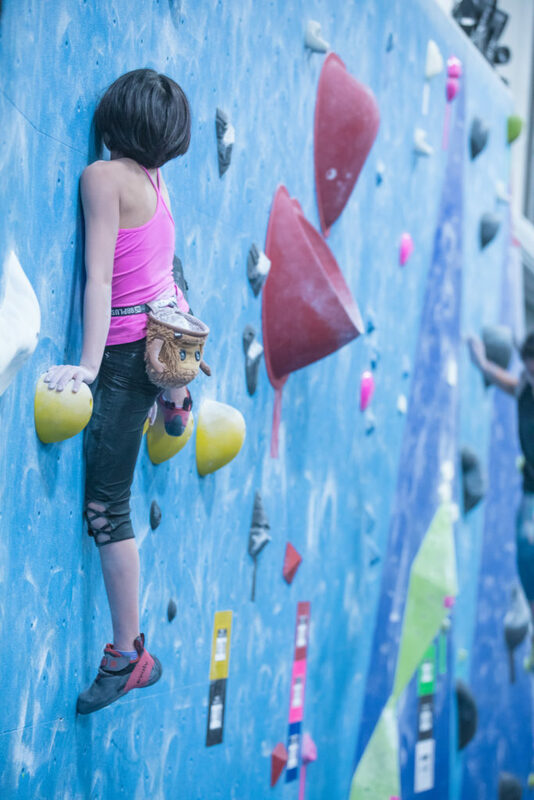 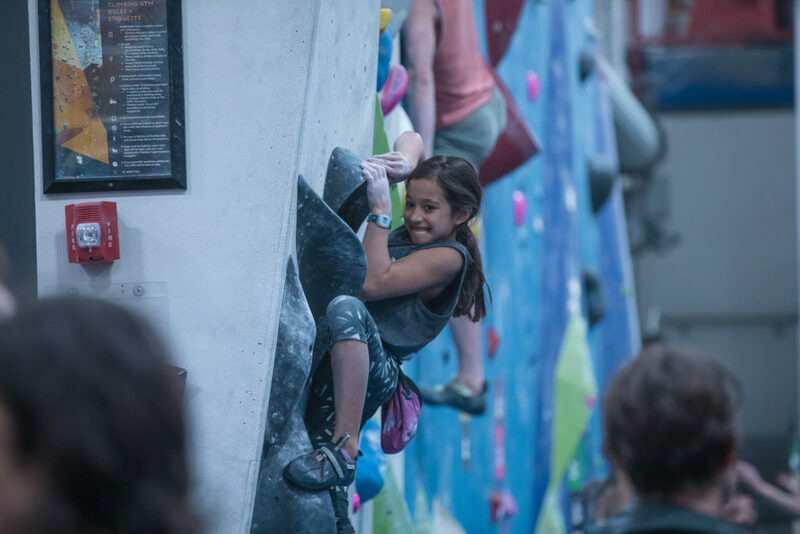 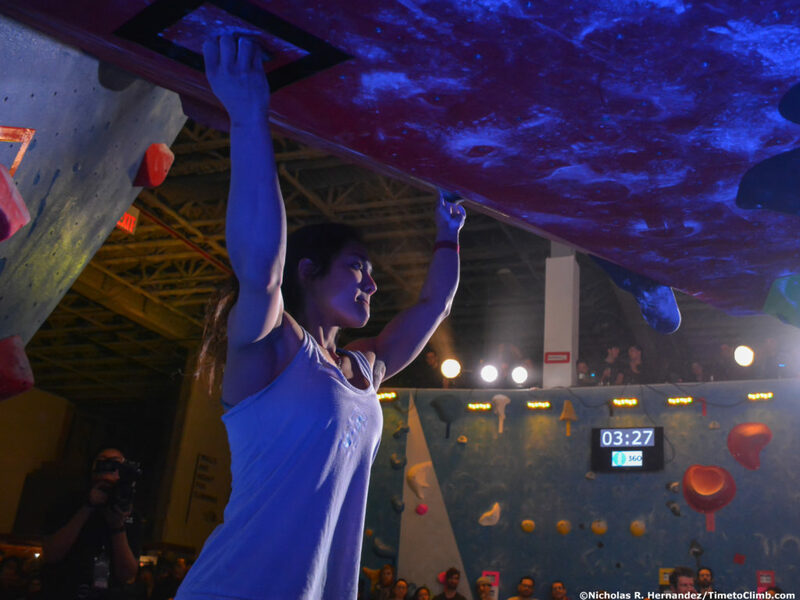 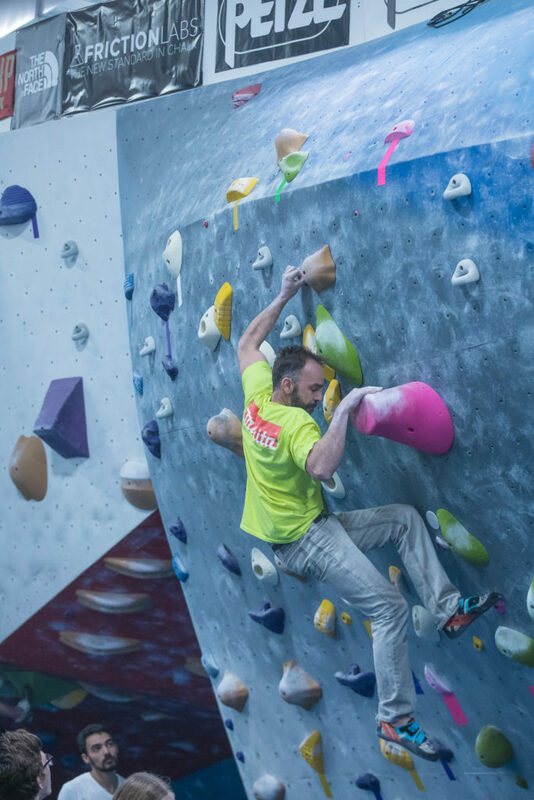 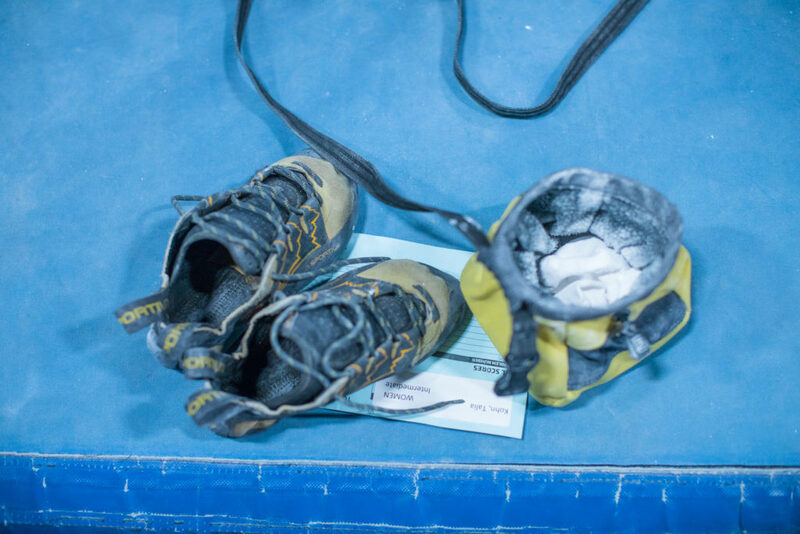 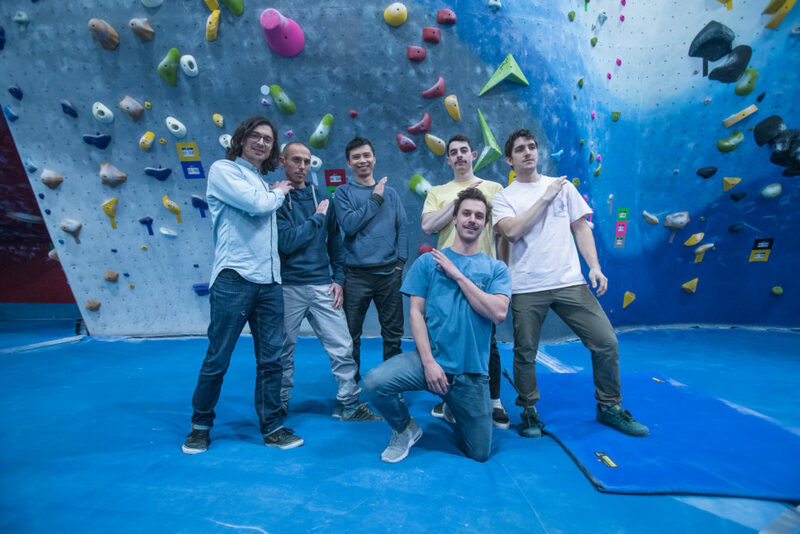 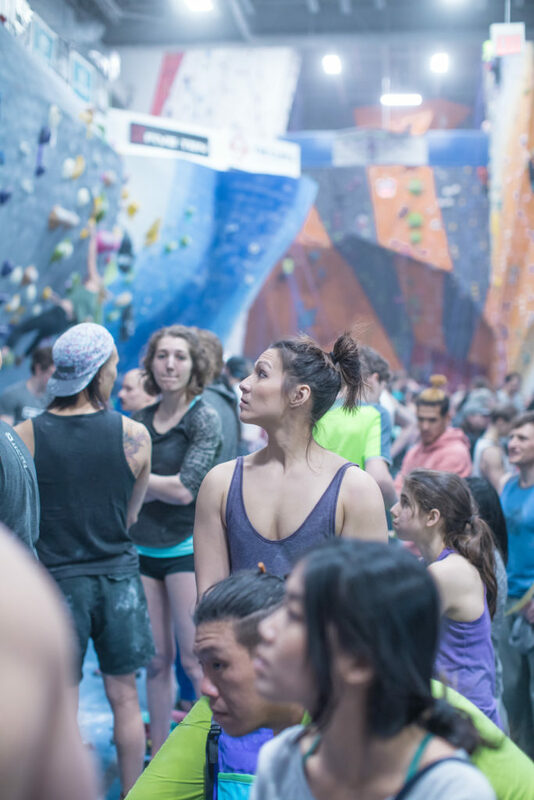 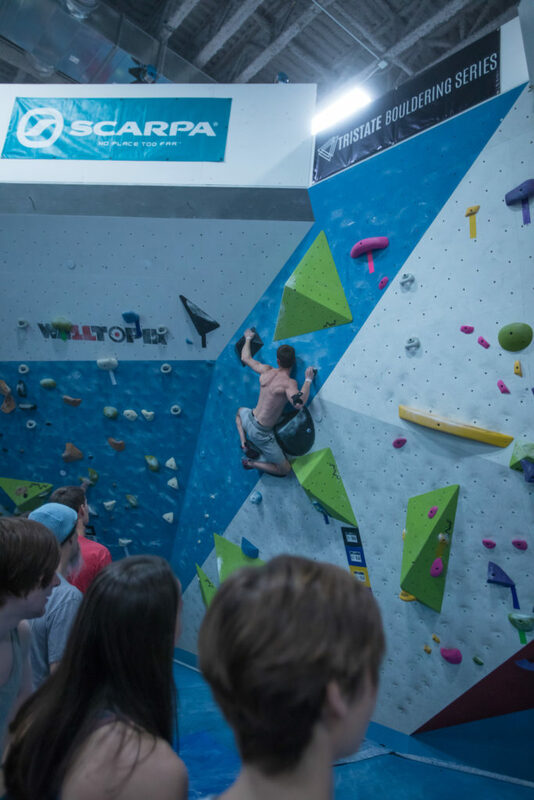 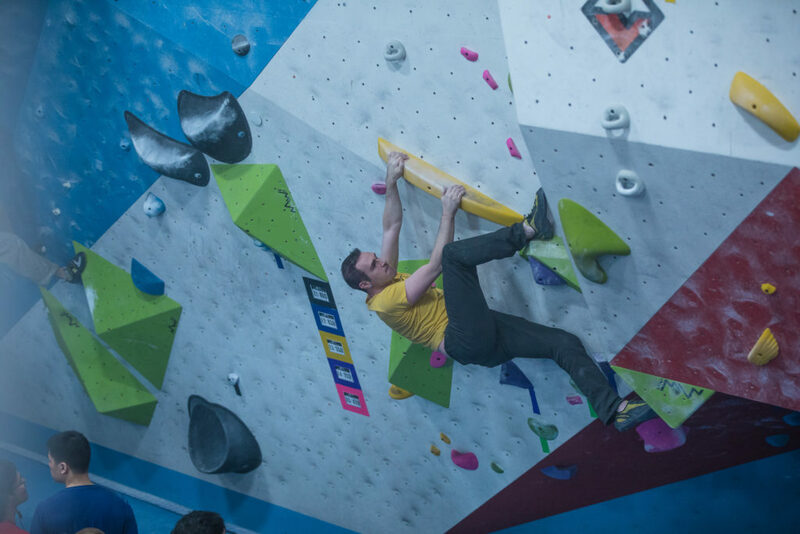 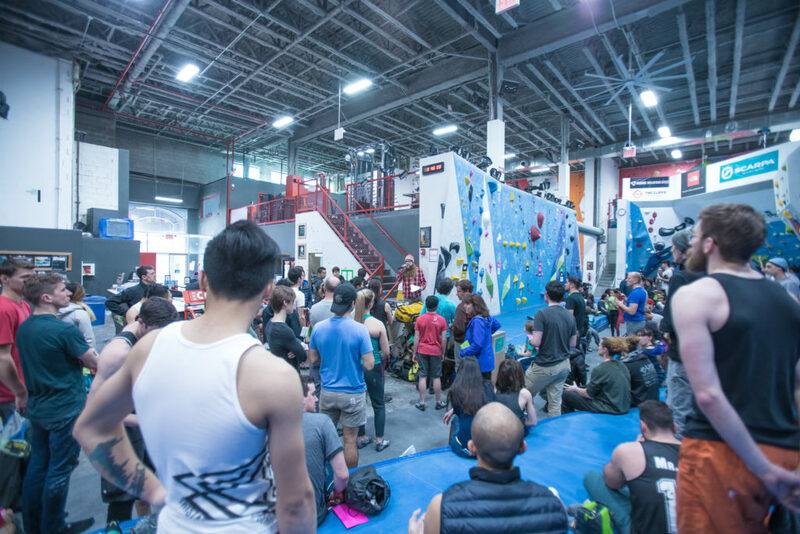 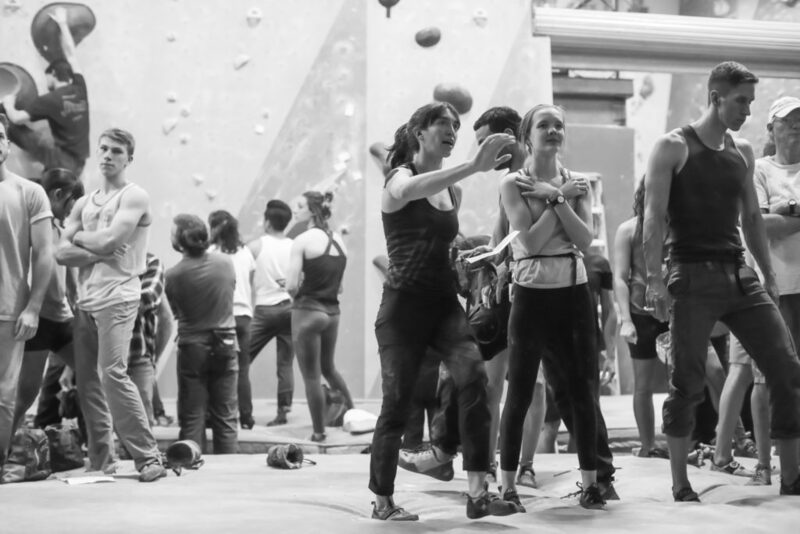 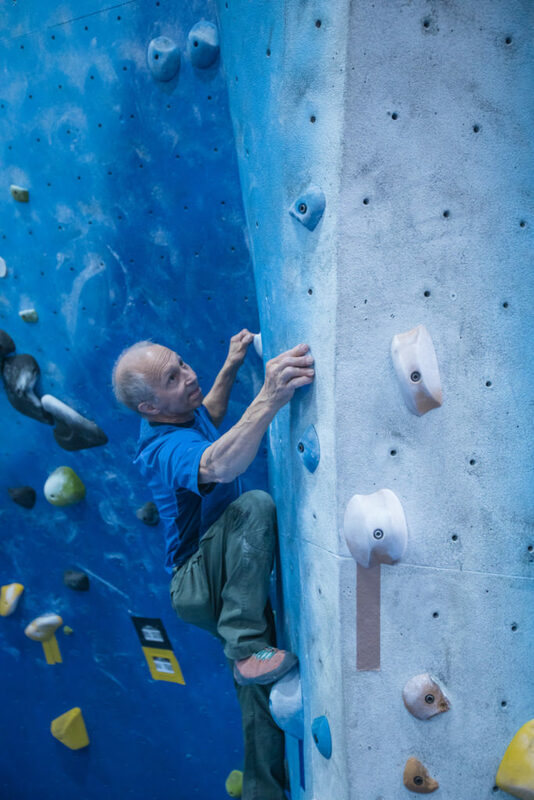 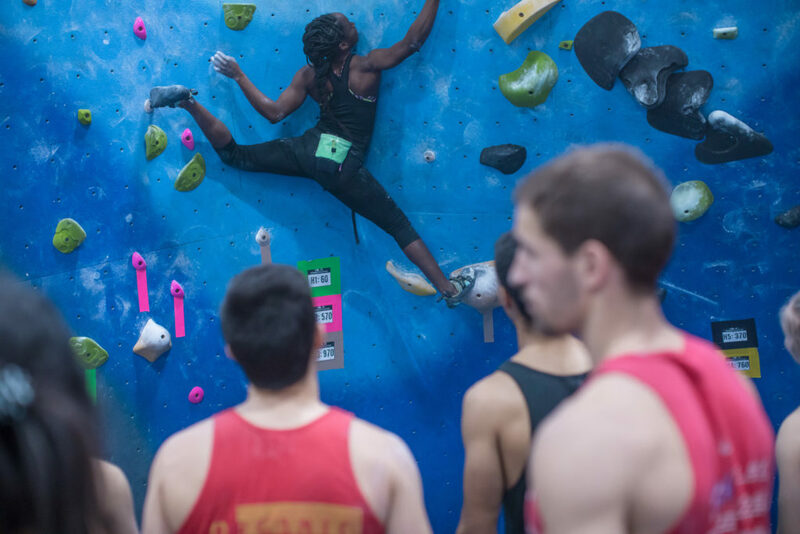 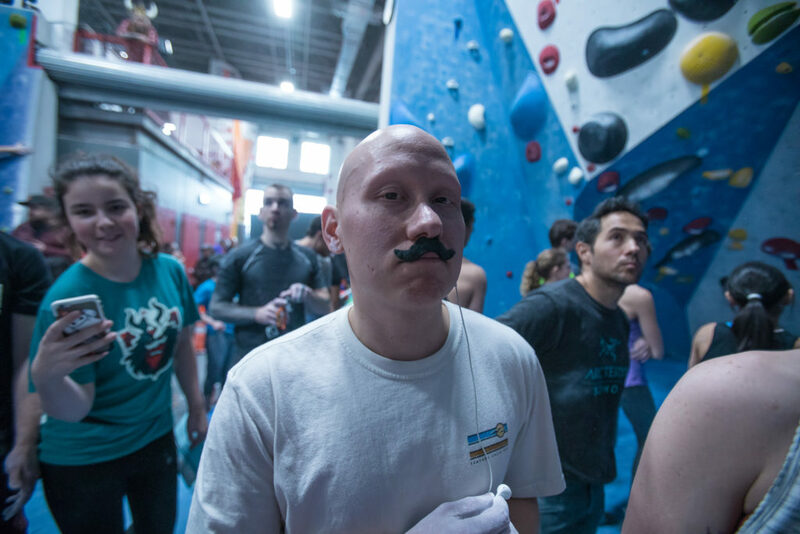 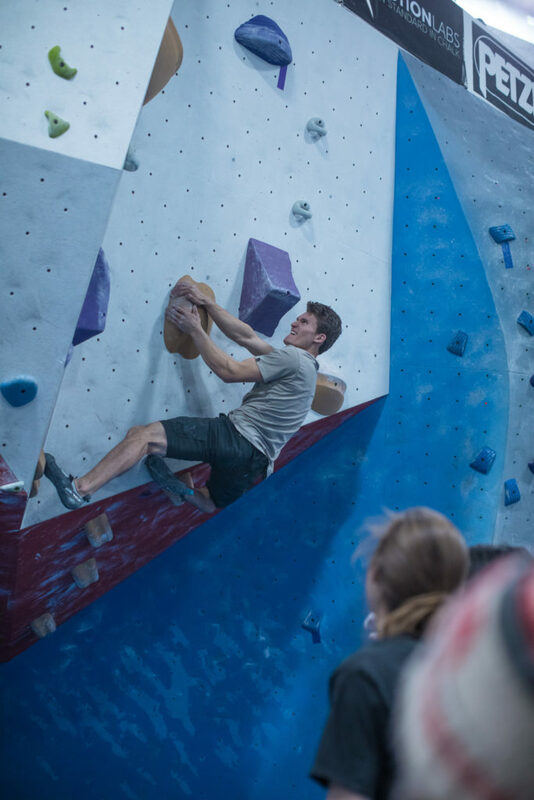 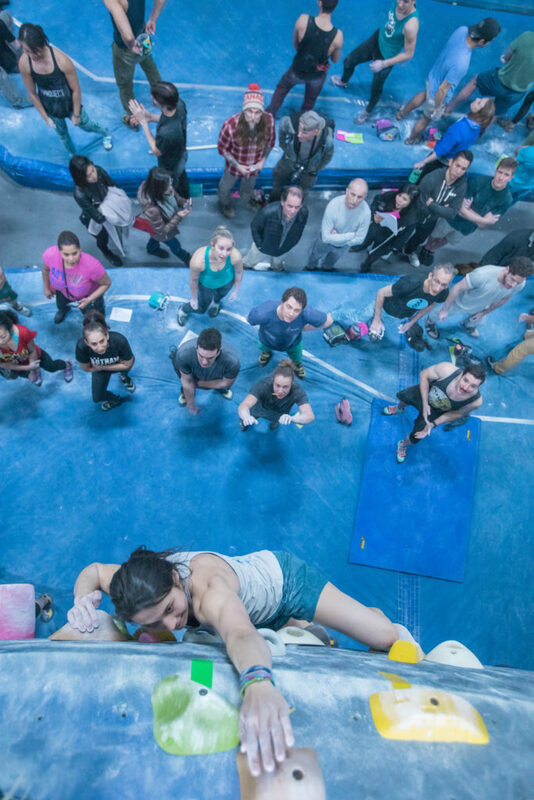 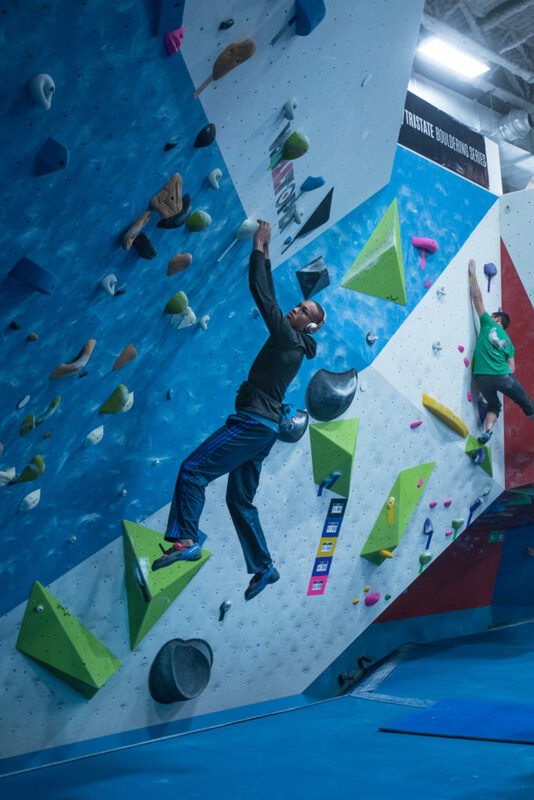 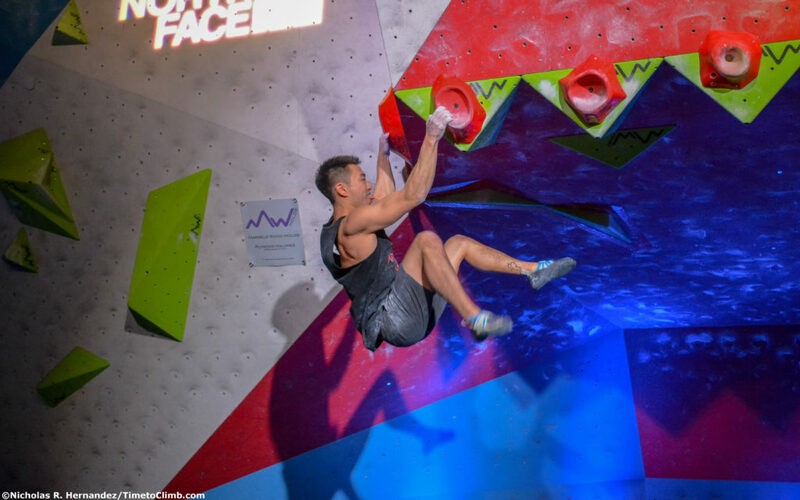 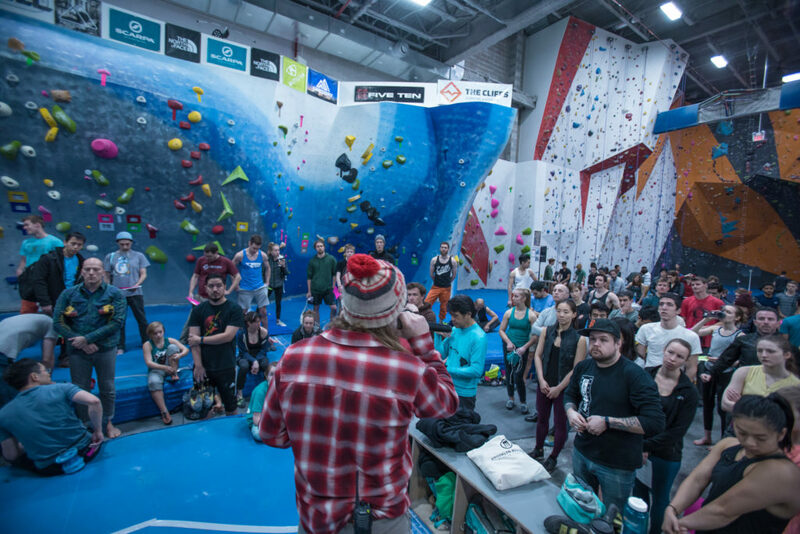 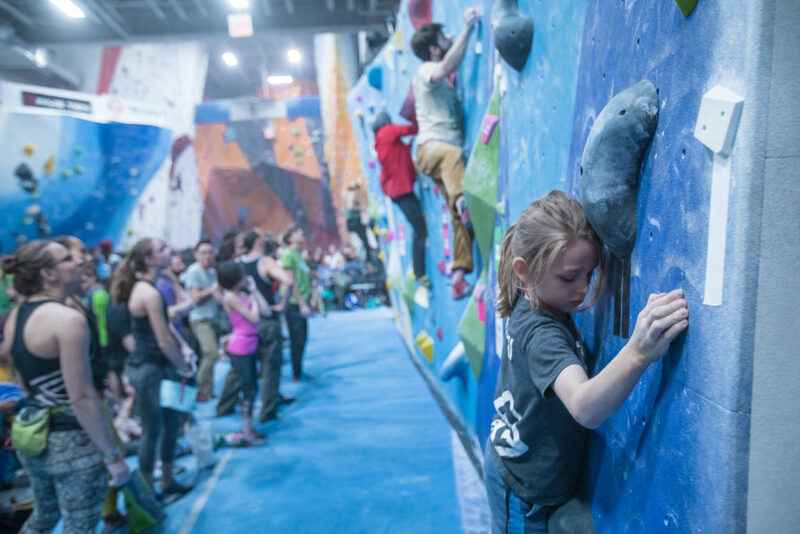 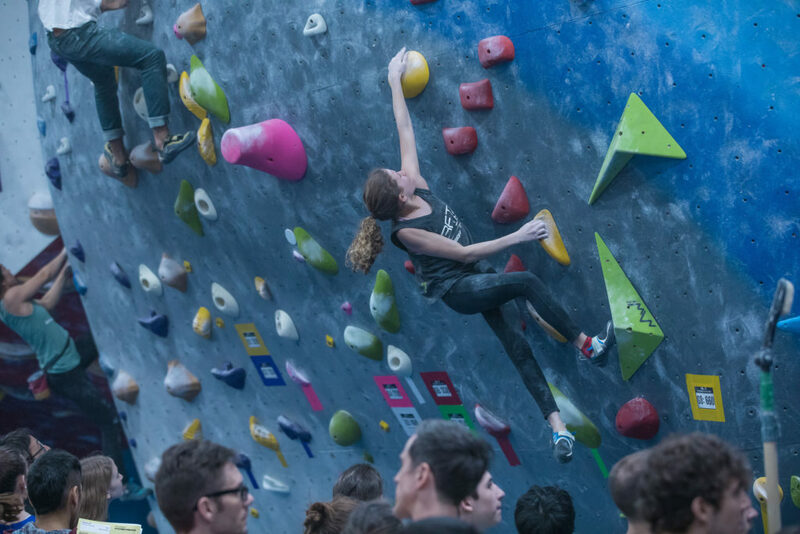 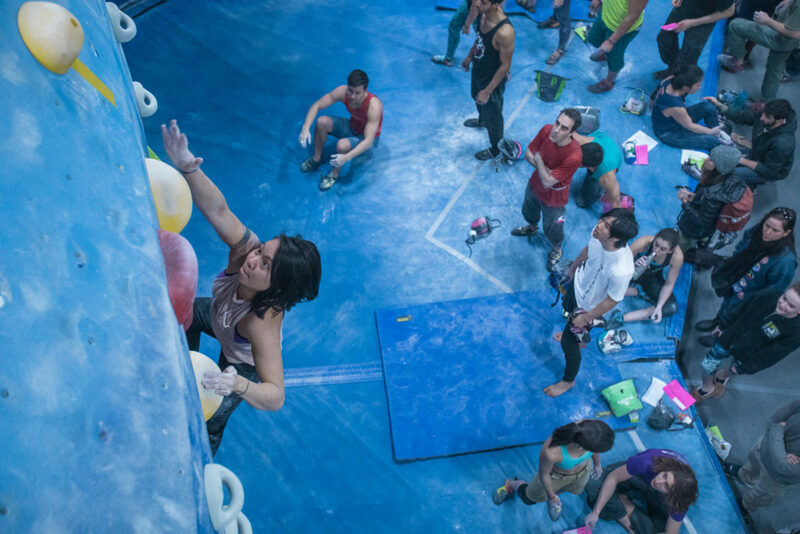 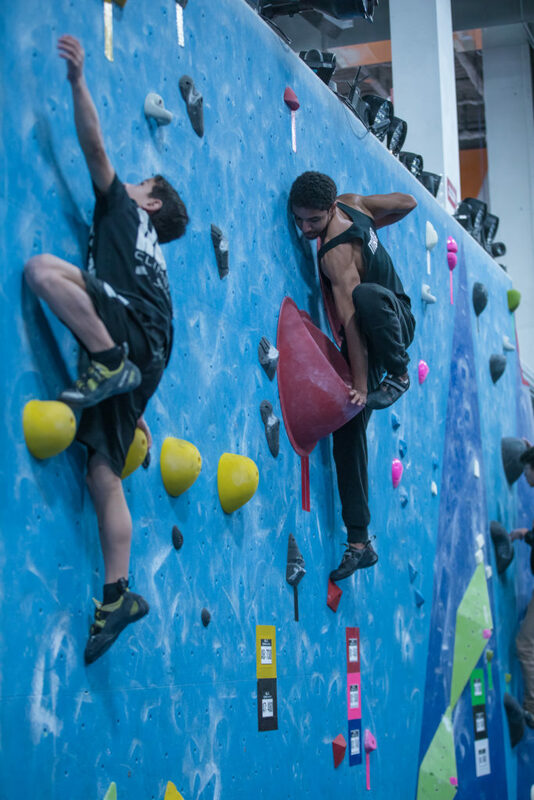 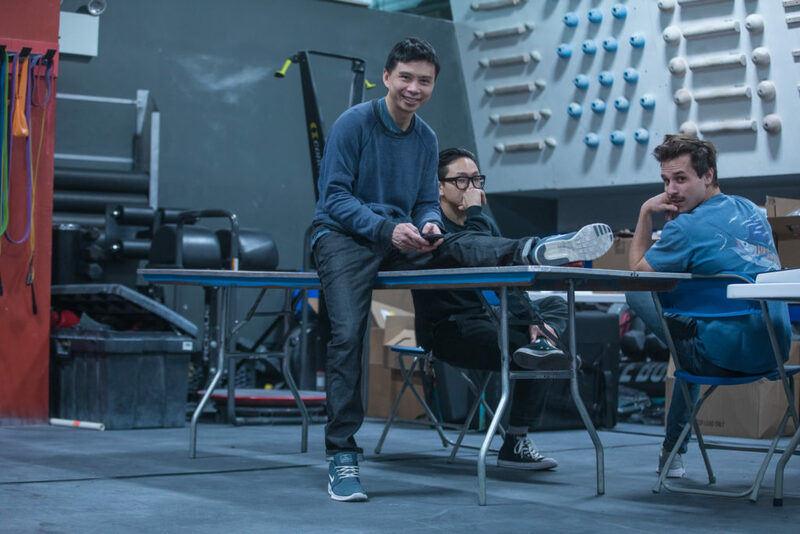 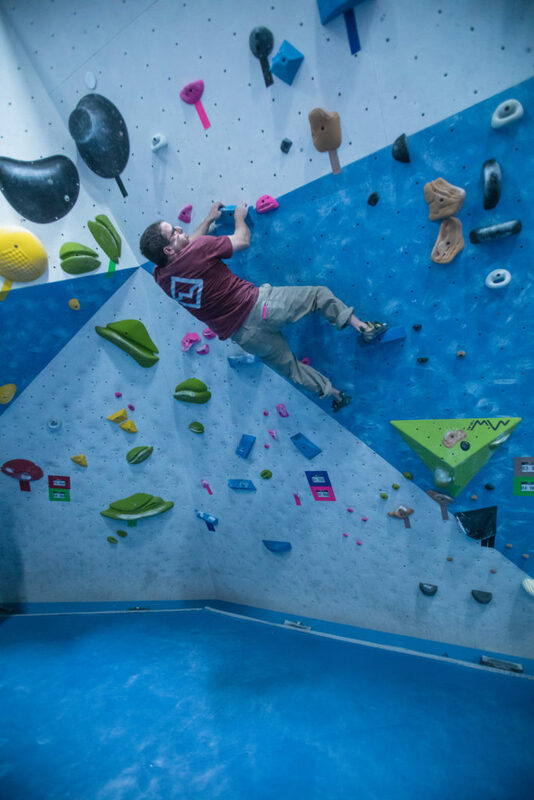 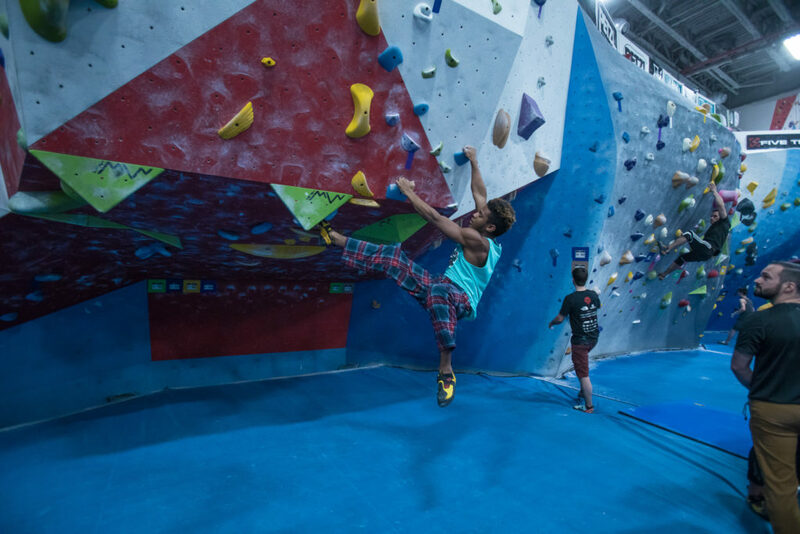 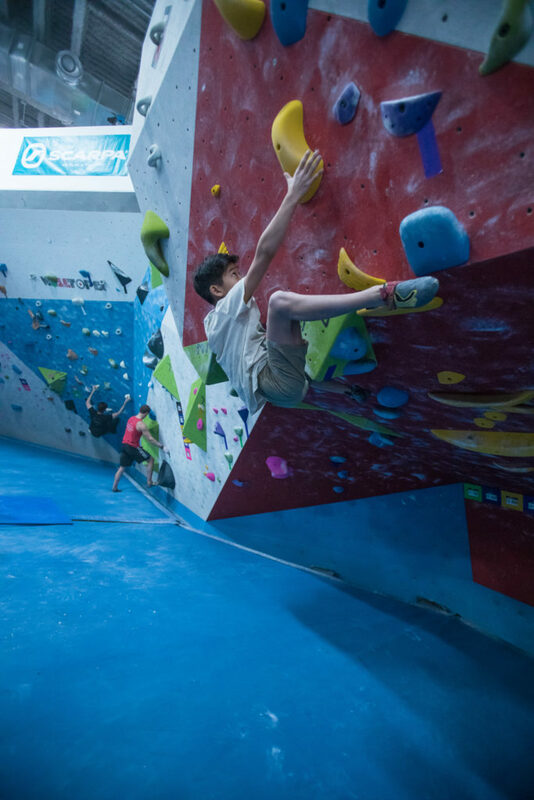 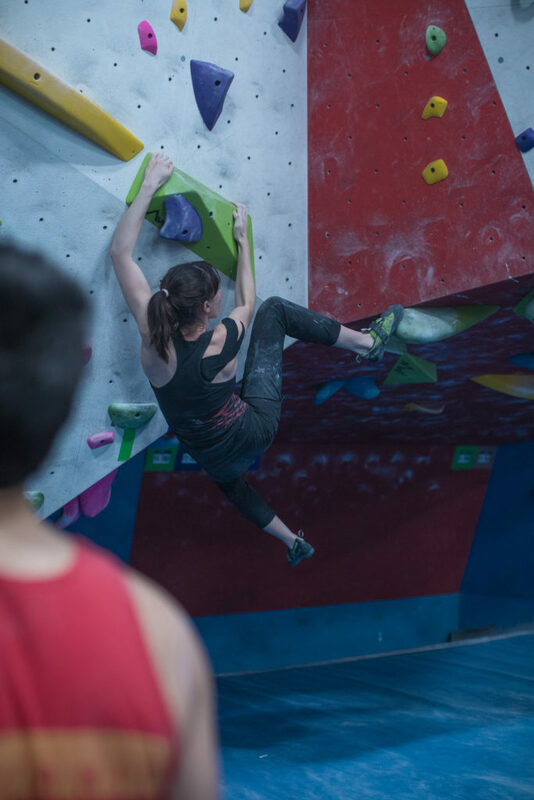 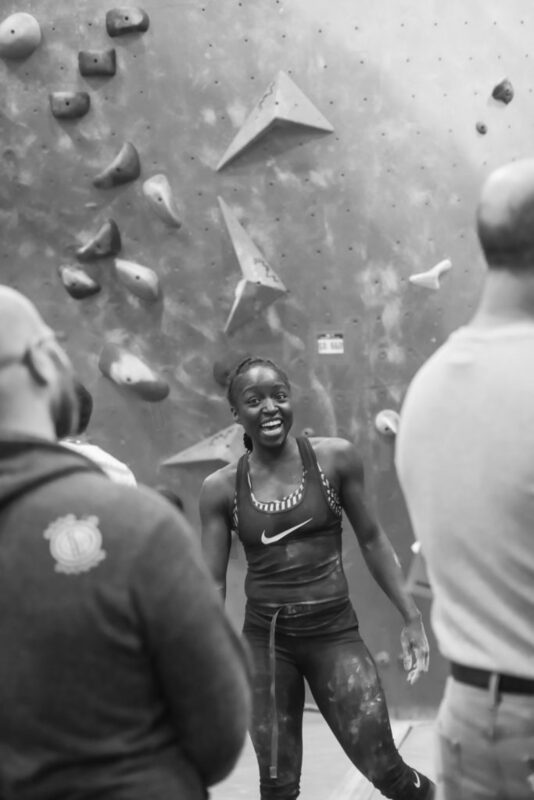 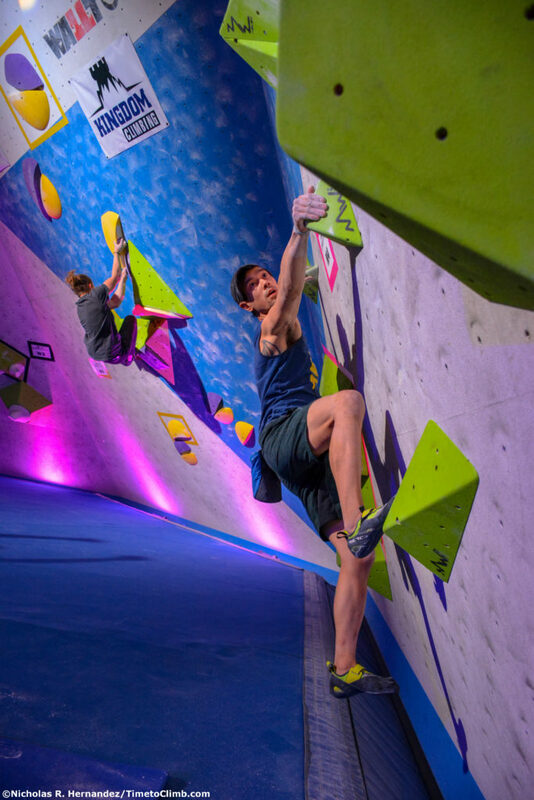 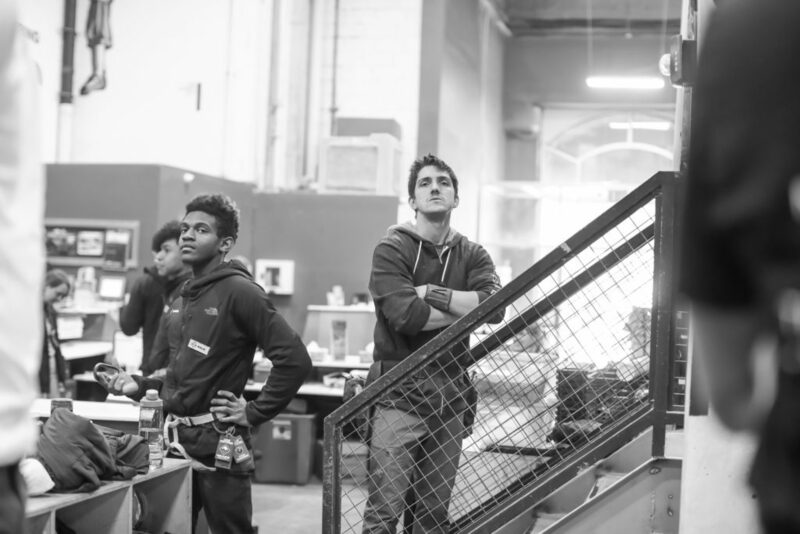 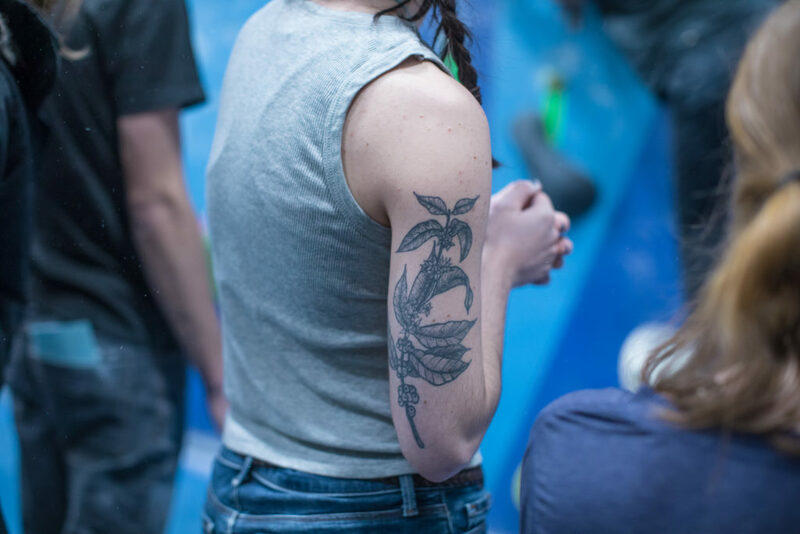 We hope you enjoyed the photos from the Gotham Citizen & Tri-State Bouldering Series Championship Competition! 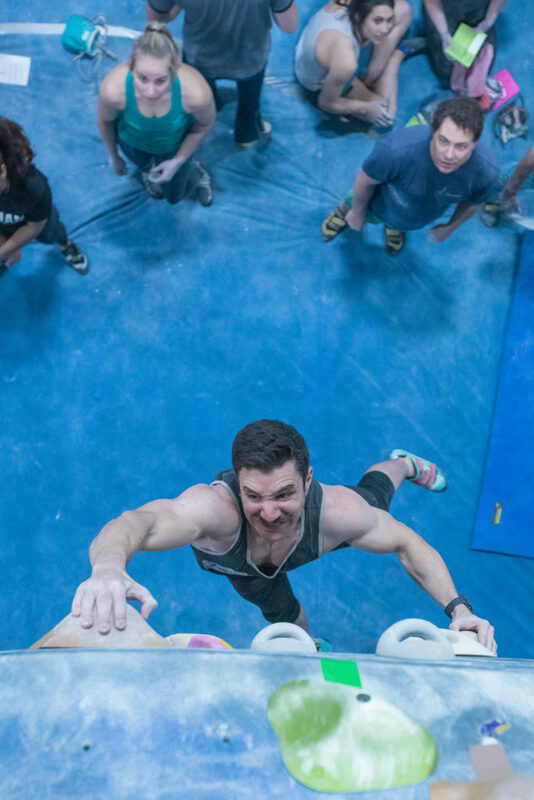 If you were a climber at the comp and see a picture you would like to personally share on social media please feel free to do so! 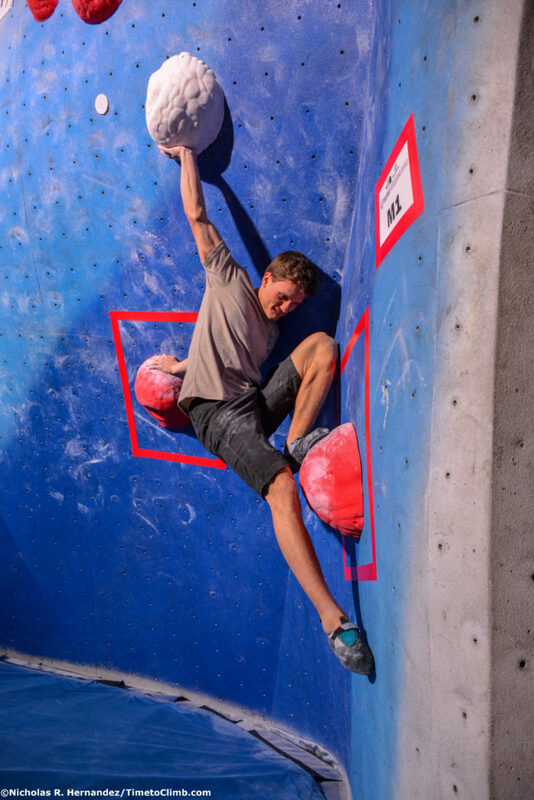 We just ask that you do not crop out the watermark and to tag the perspective photographer & Time to Climb (Facebook, Instagram or Twitter) with the photo. 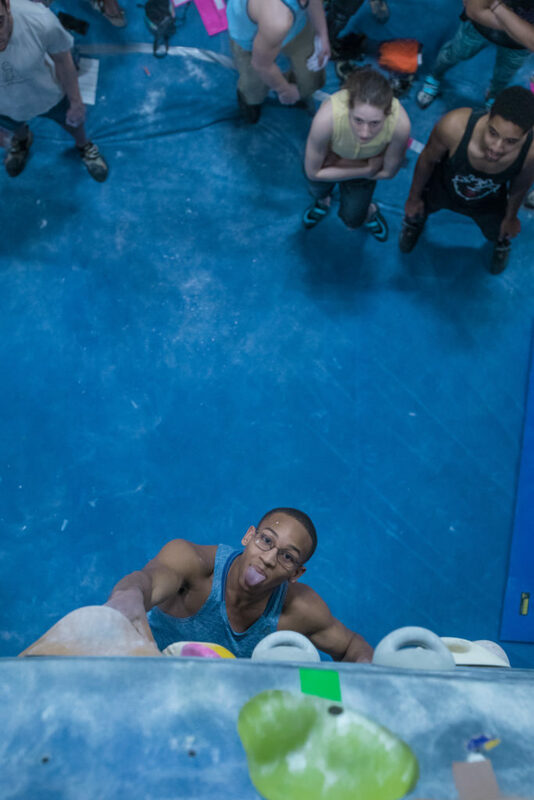 If you were not aware the Tri-State Bouldering Series Championship Finals were live streamed and recorded! 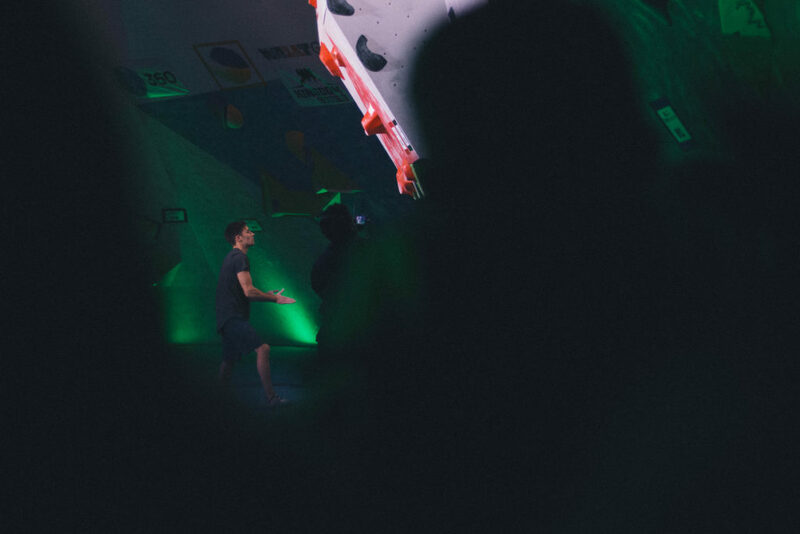 So if you happen to miss the incredible action that went down you can see it all in it’s entirety in the player below! 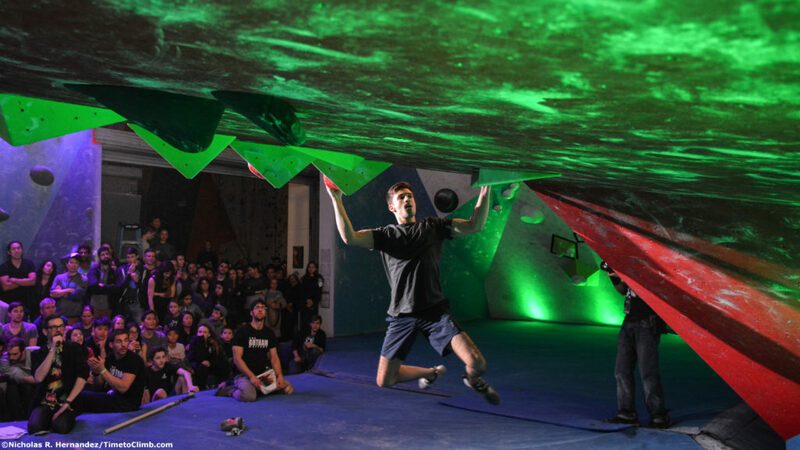 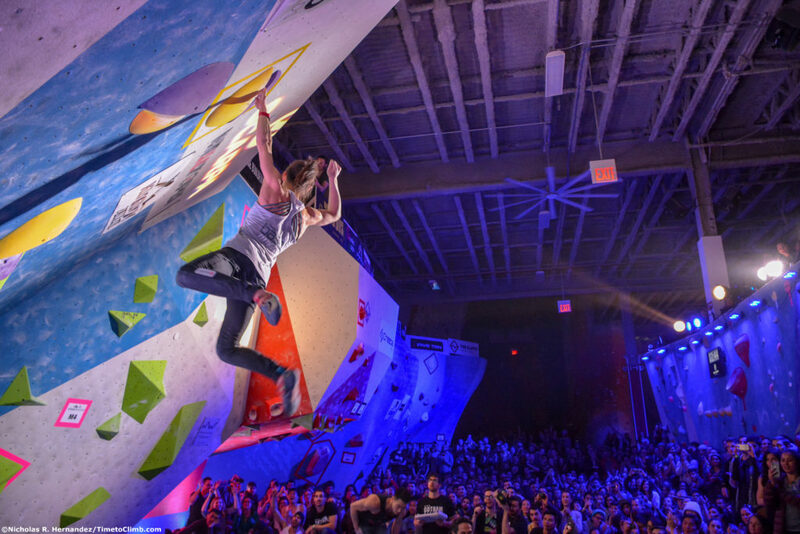 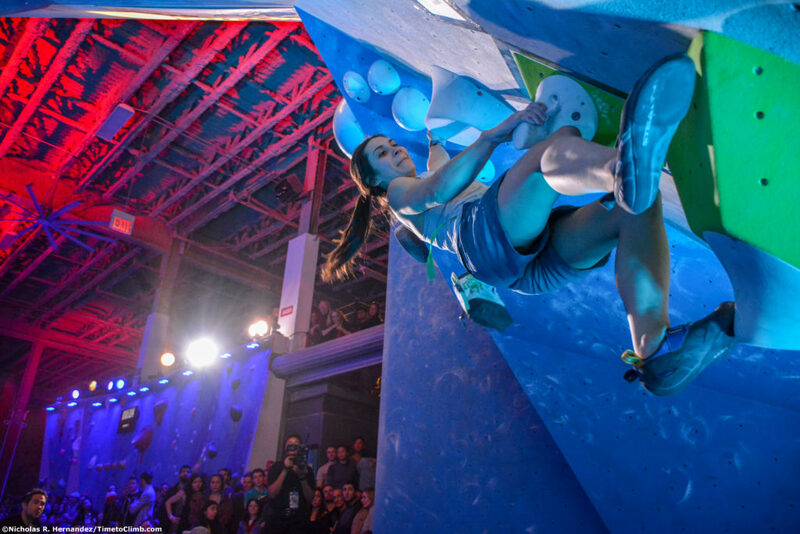 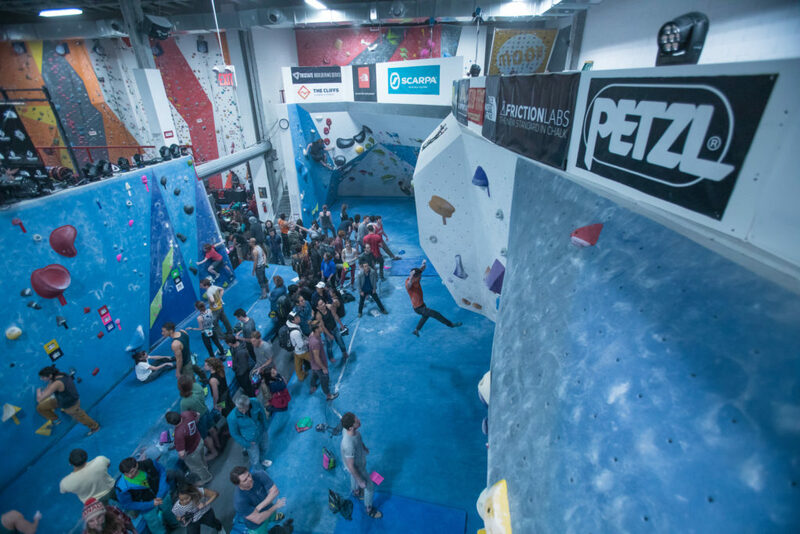 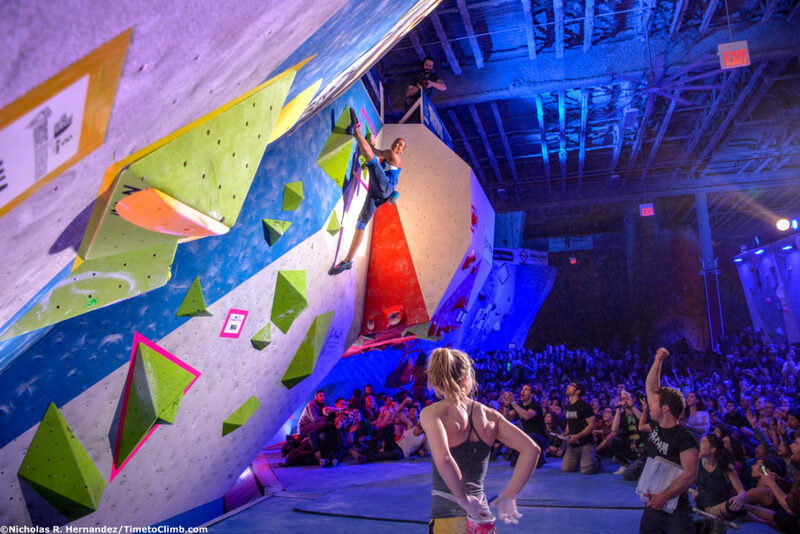 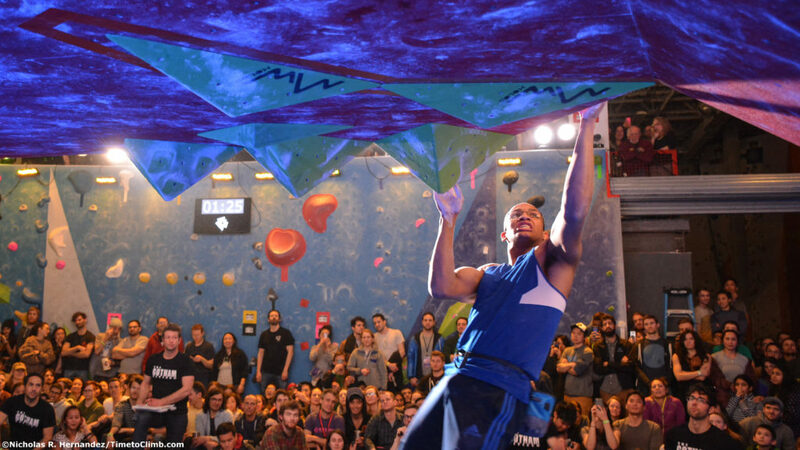 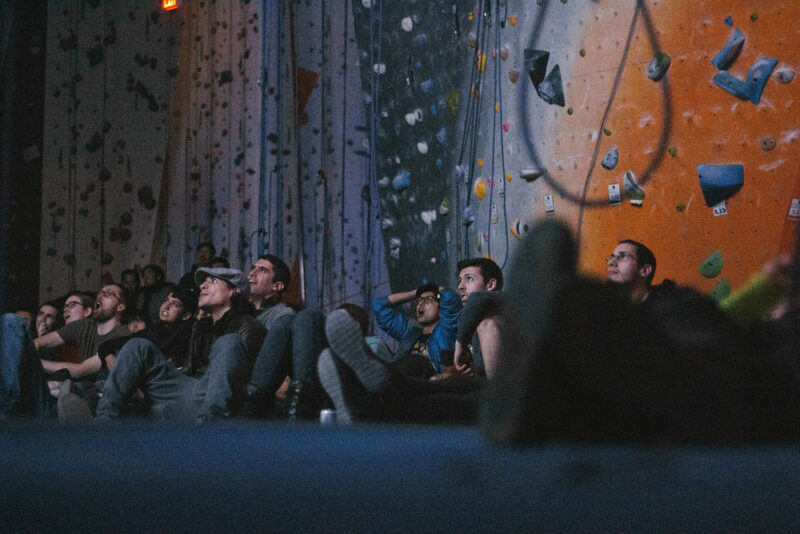 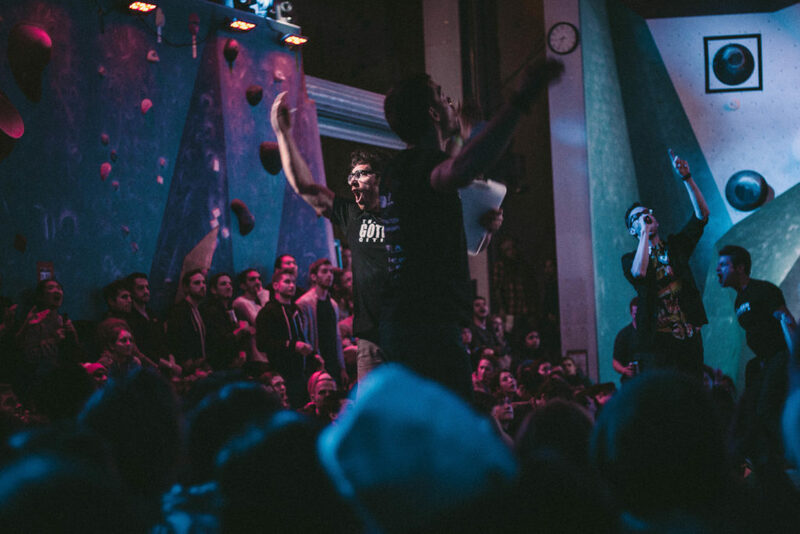 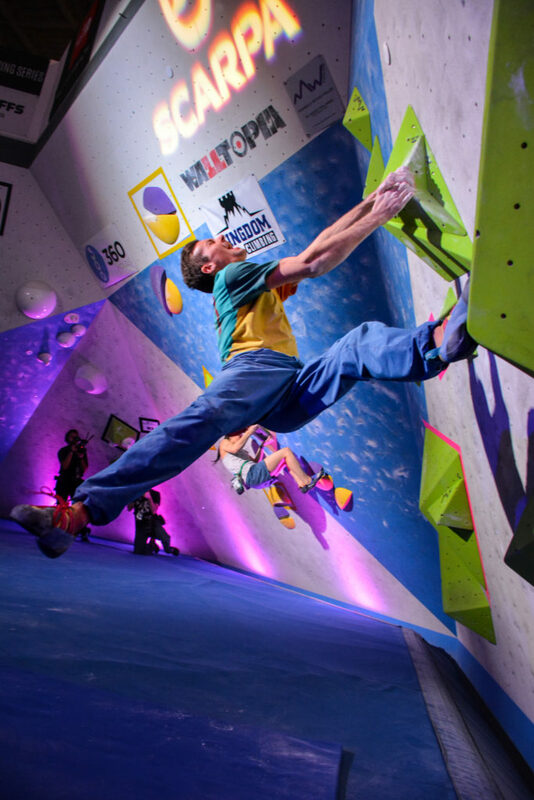 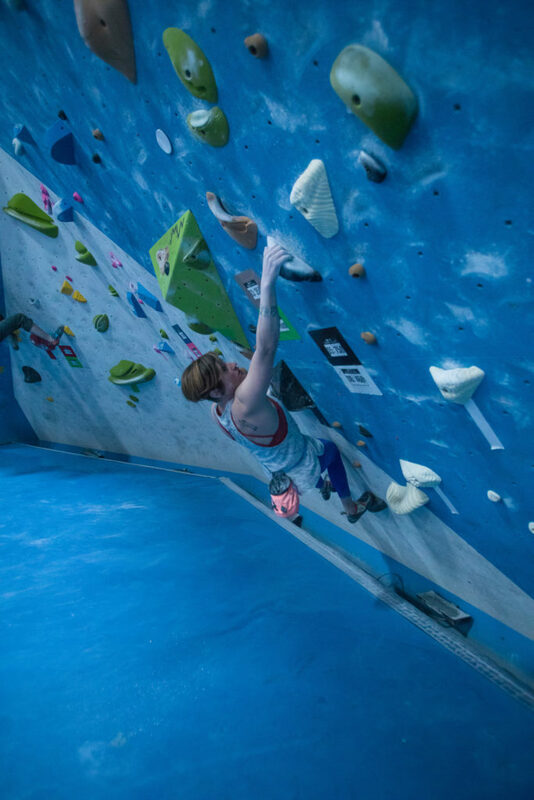 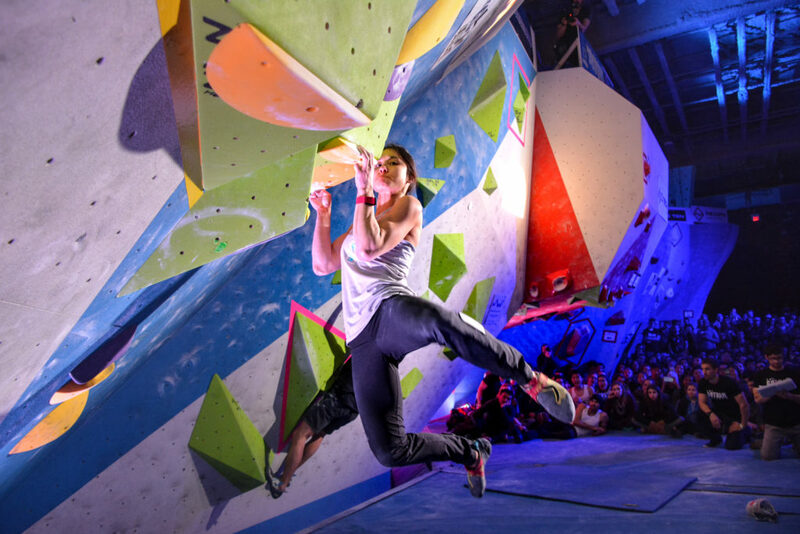 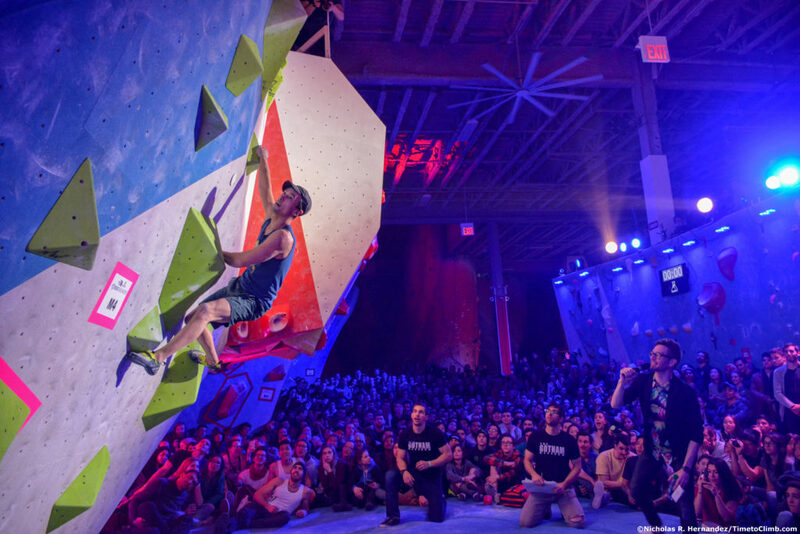 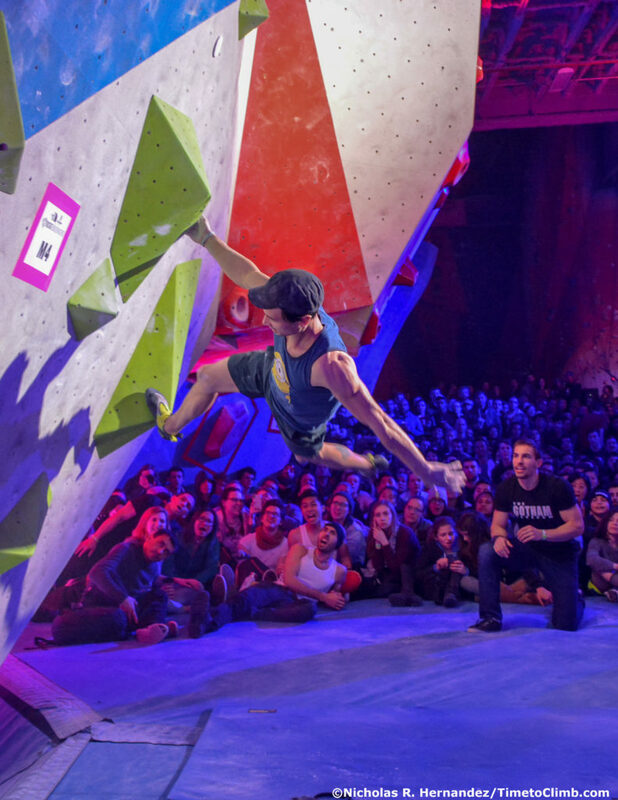 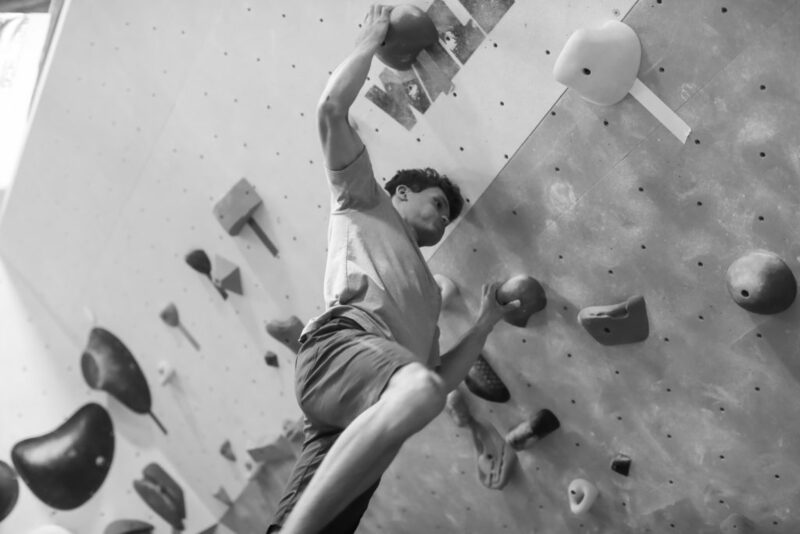 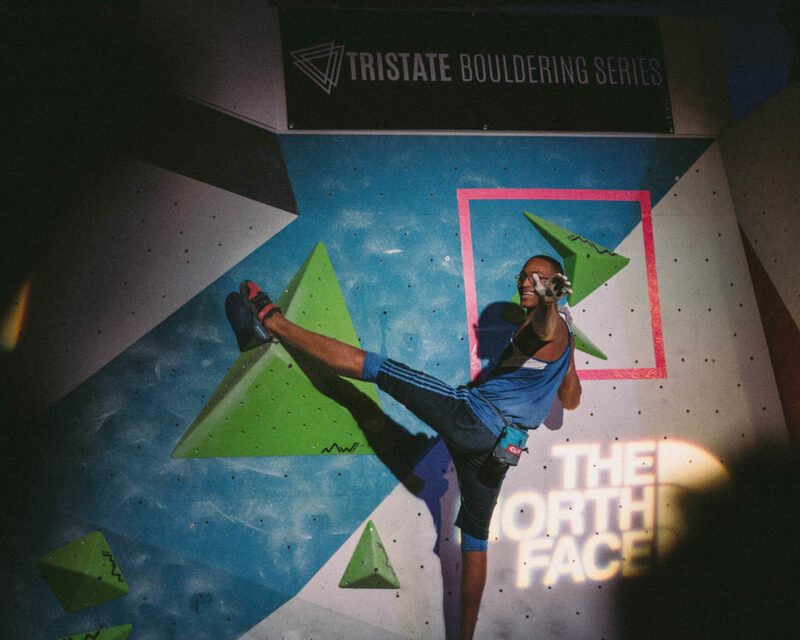 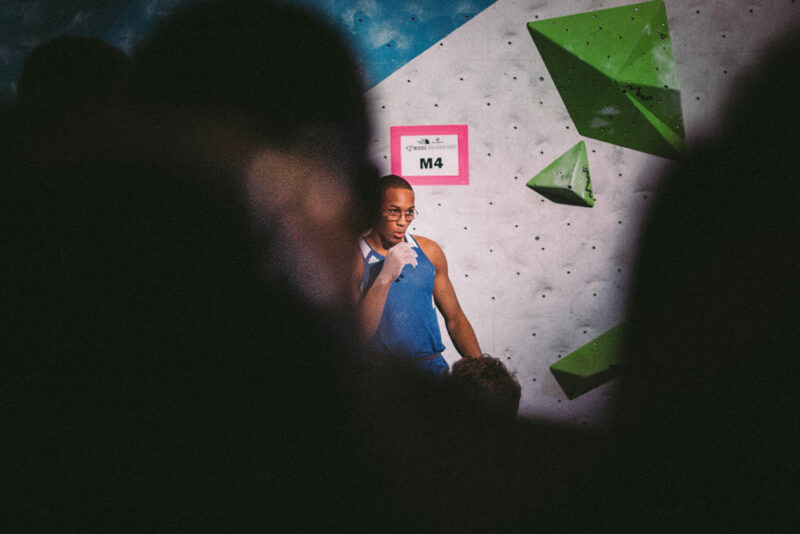 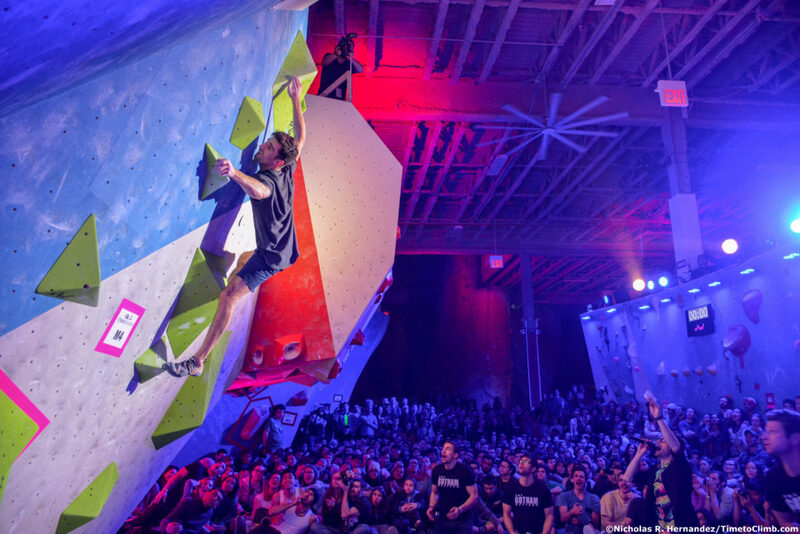 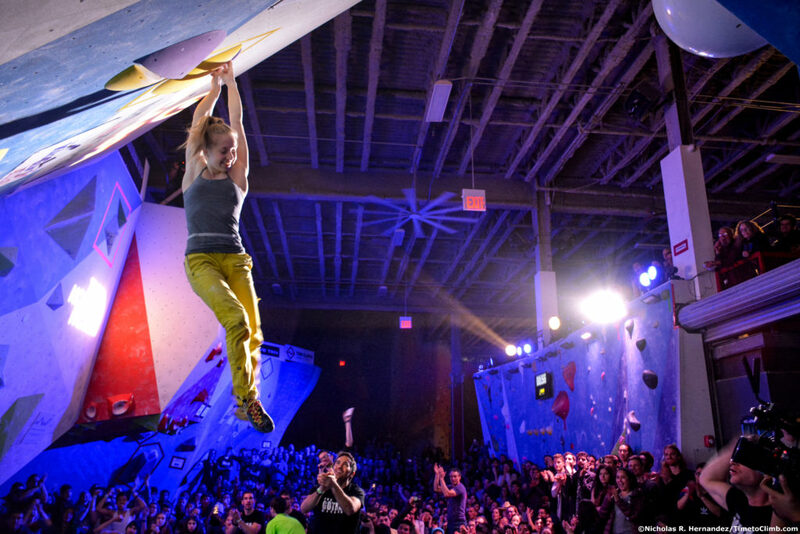 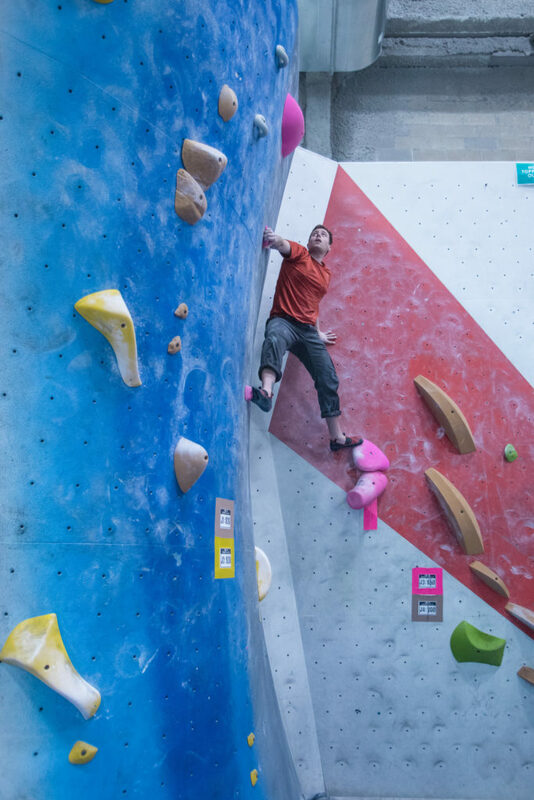 The Tri-State Bouldering Series has now completed its 3rd year. 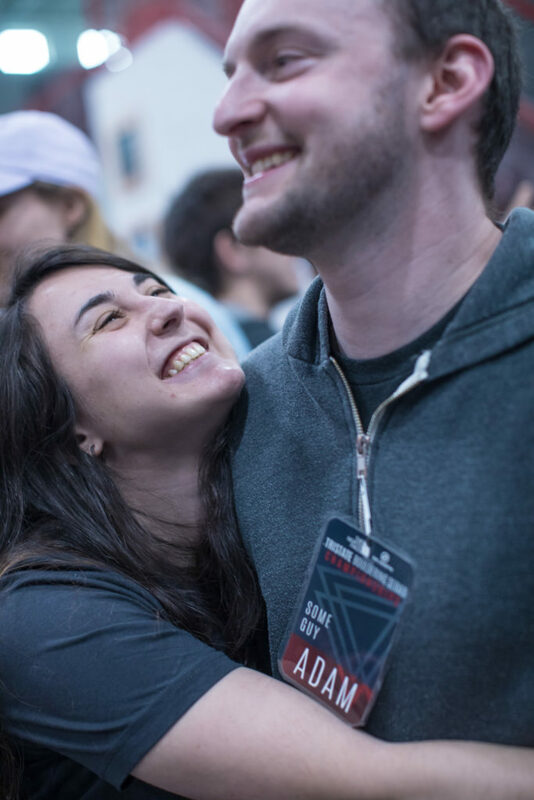 Each year has been bigger and better! 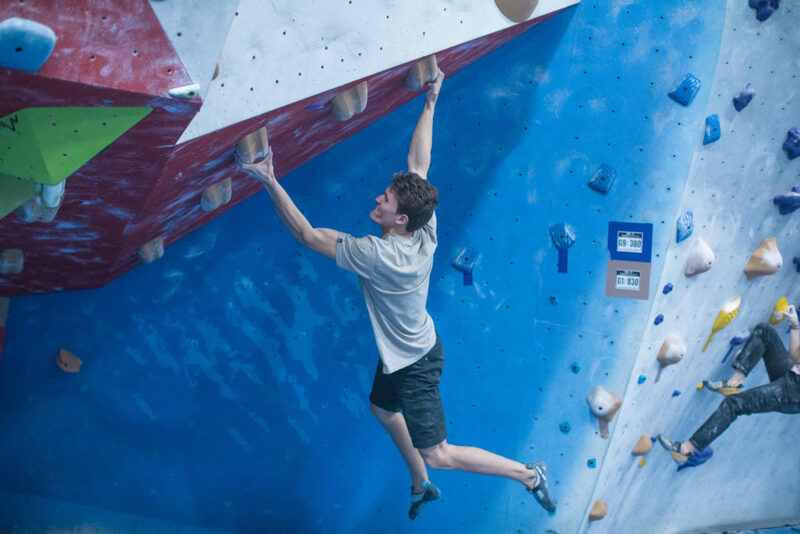 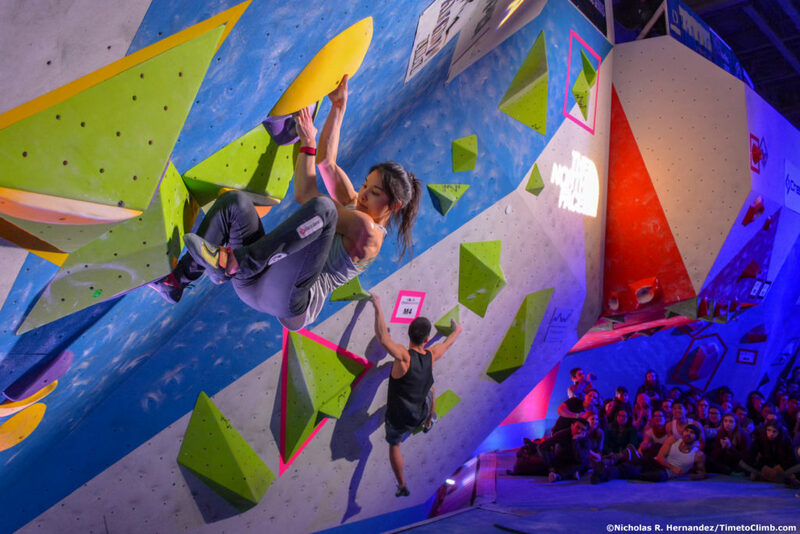 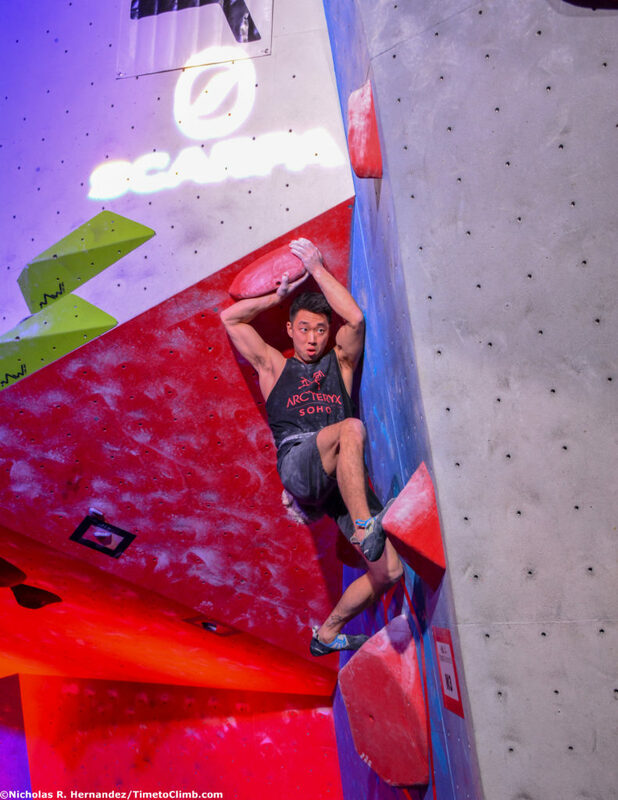 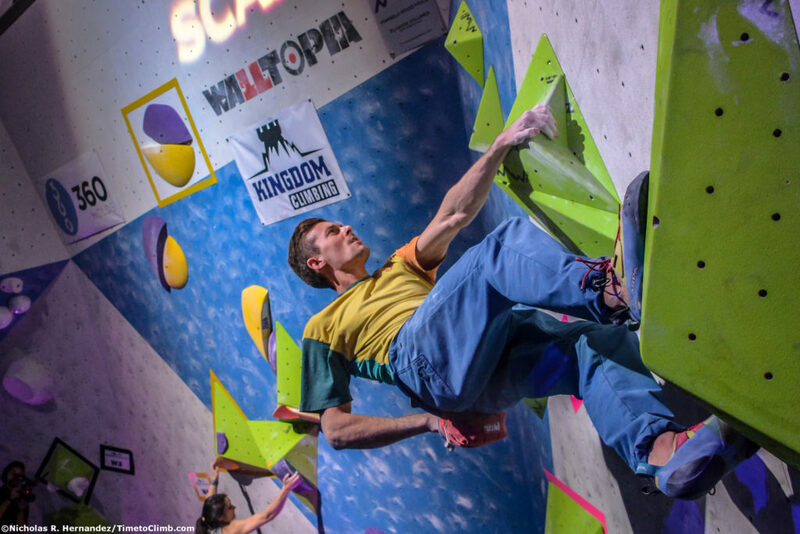 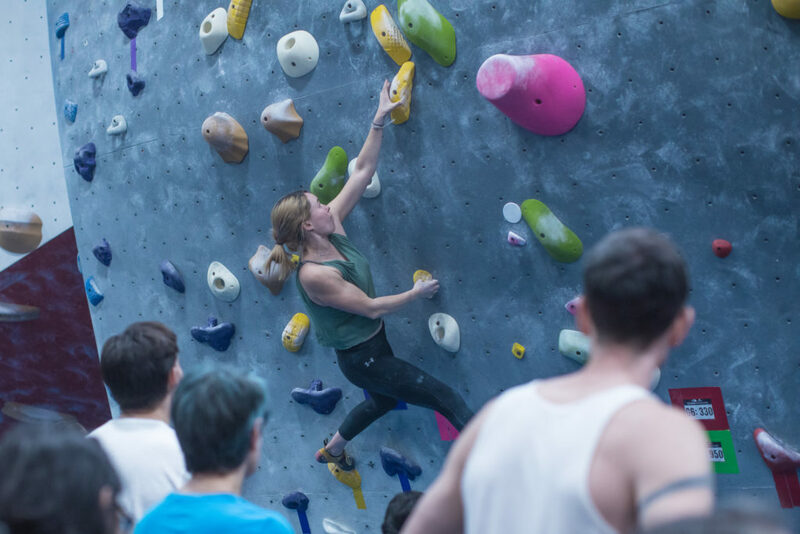 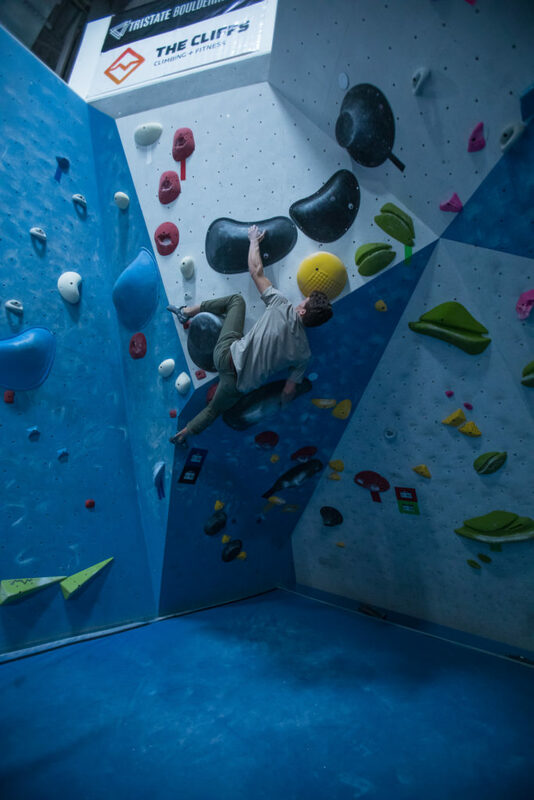 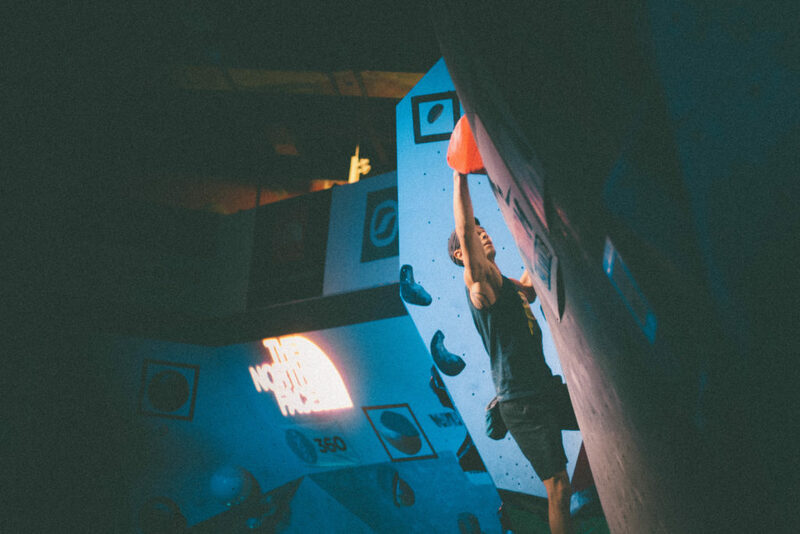 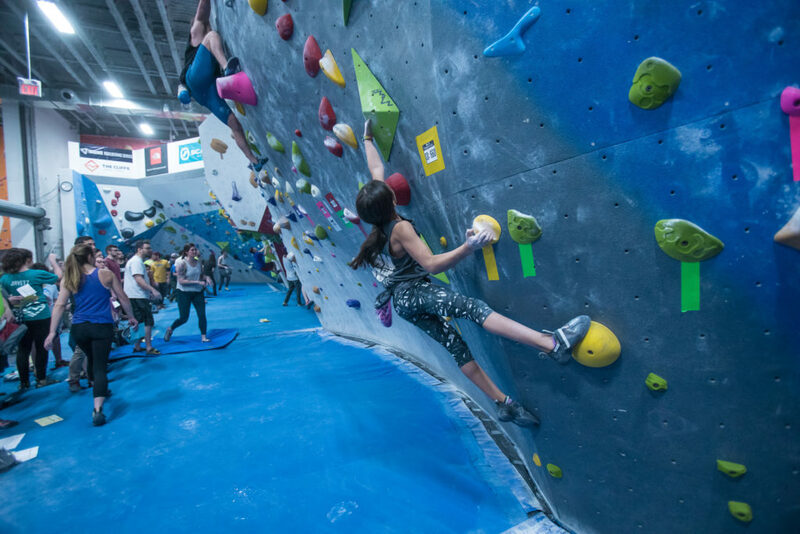 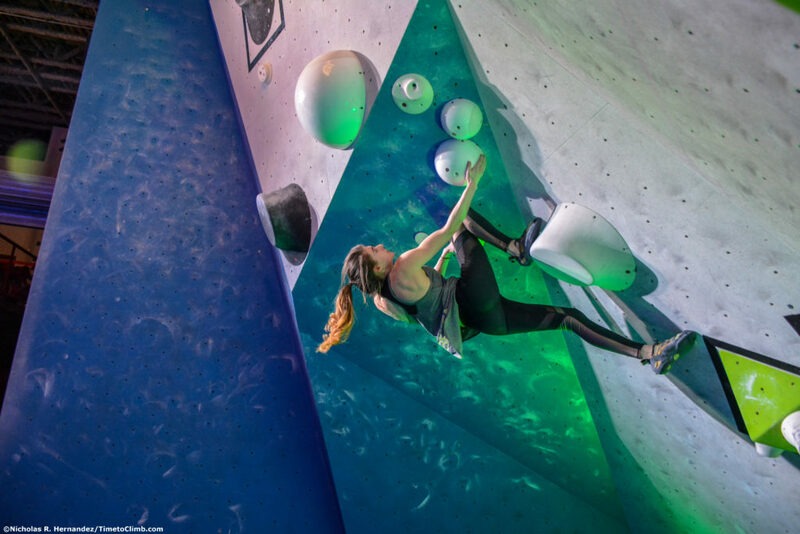 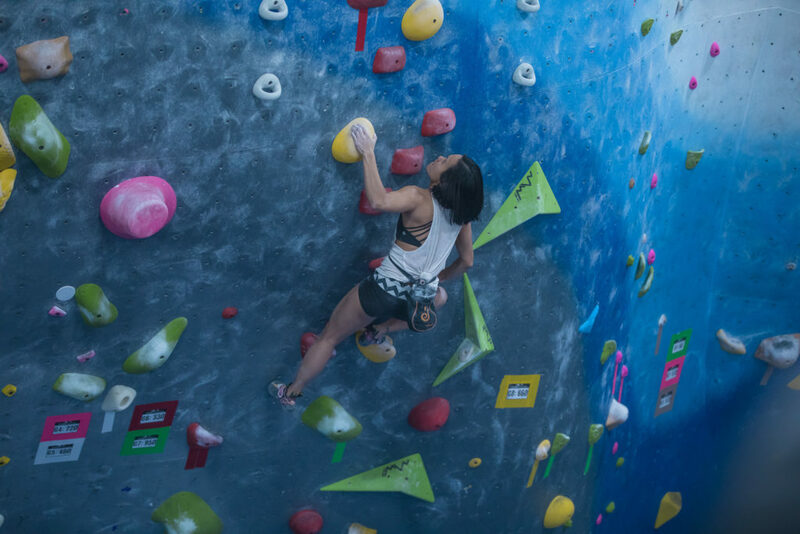 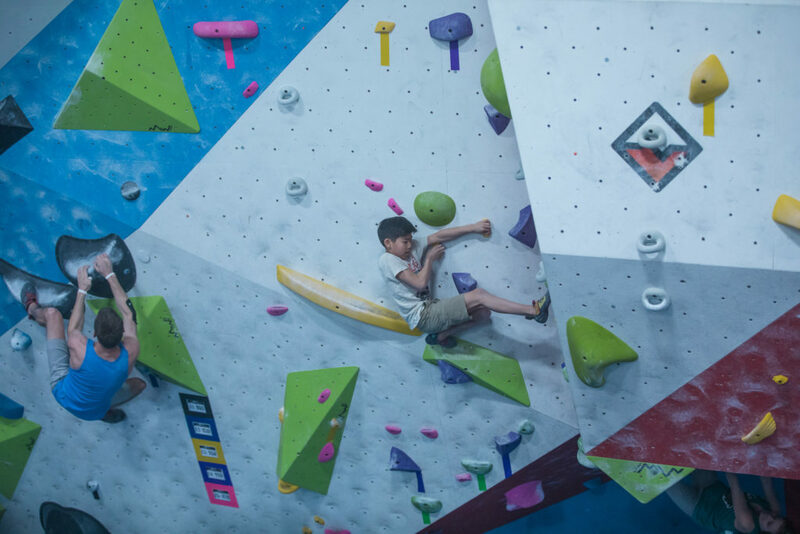 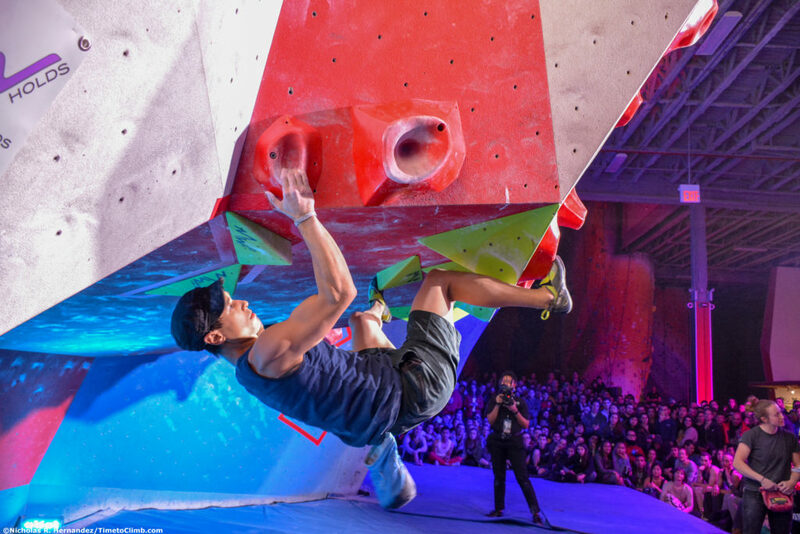 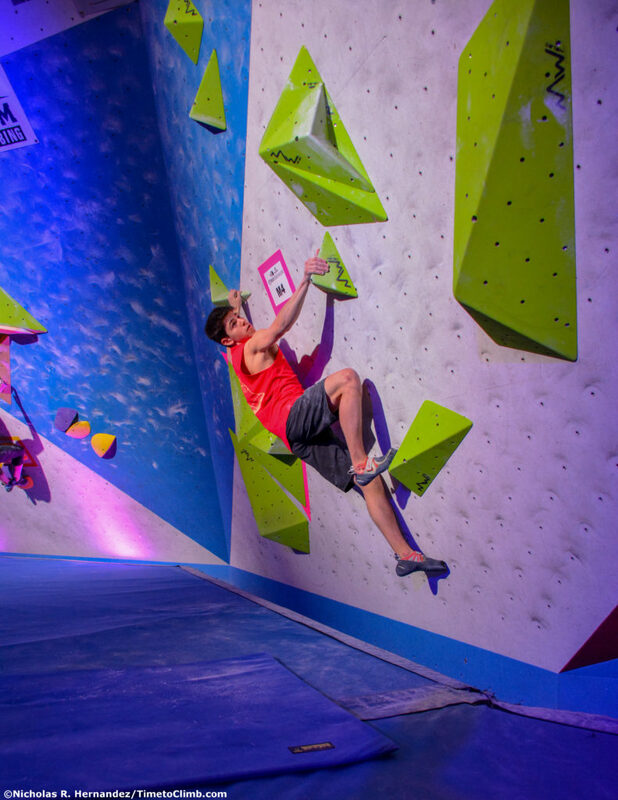 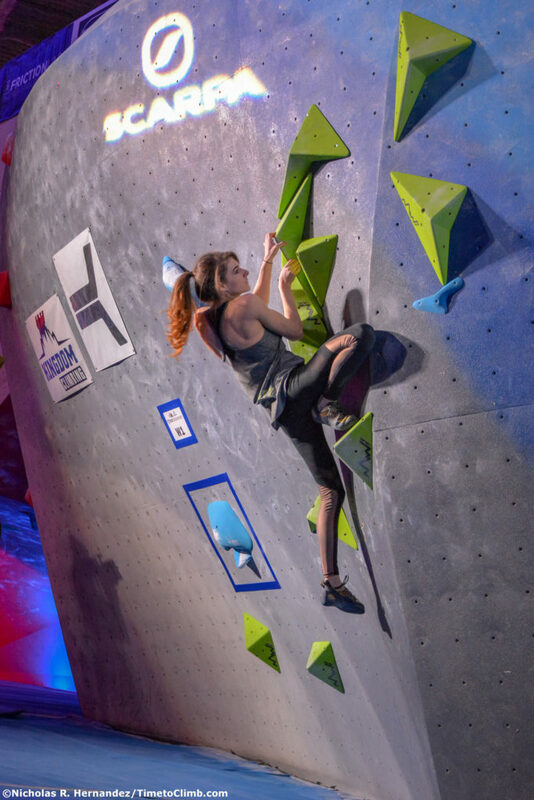 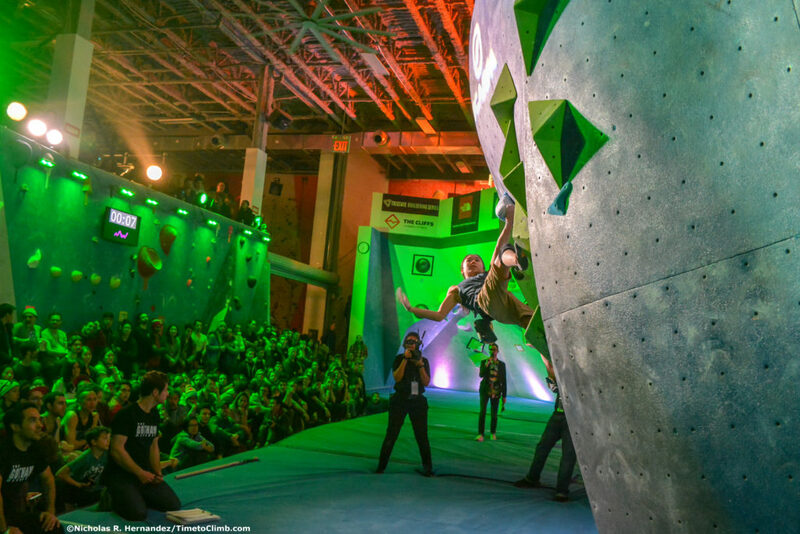 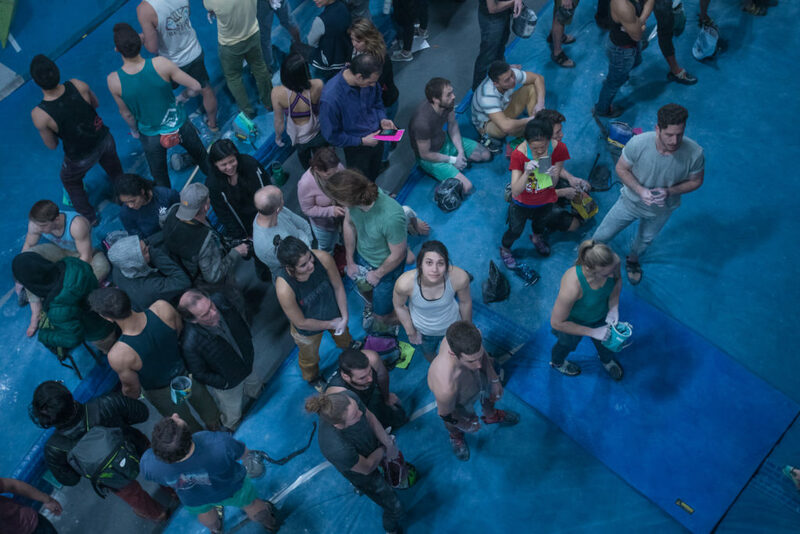 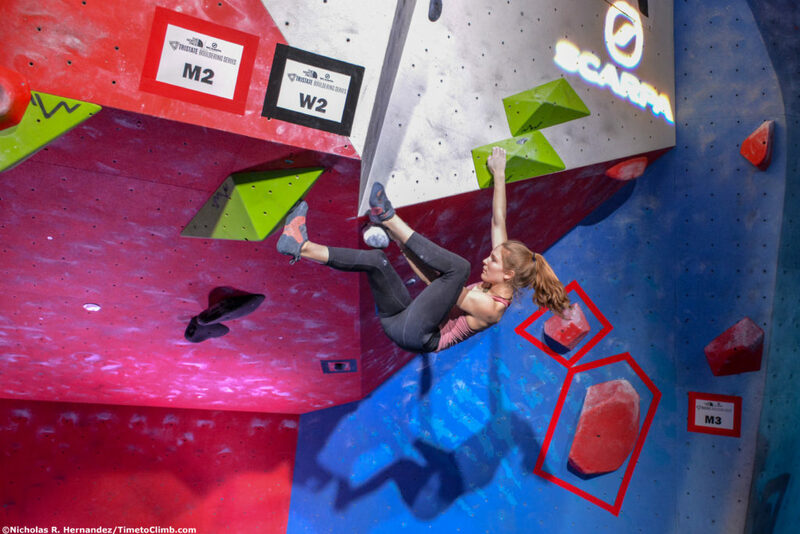 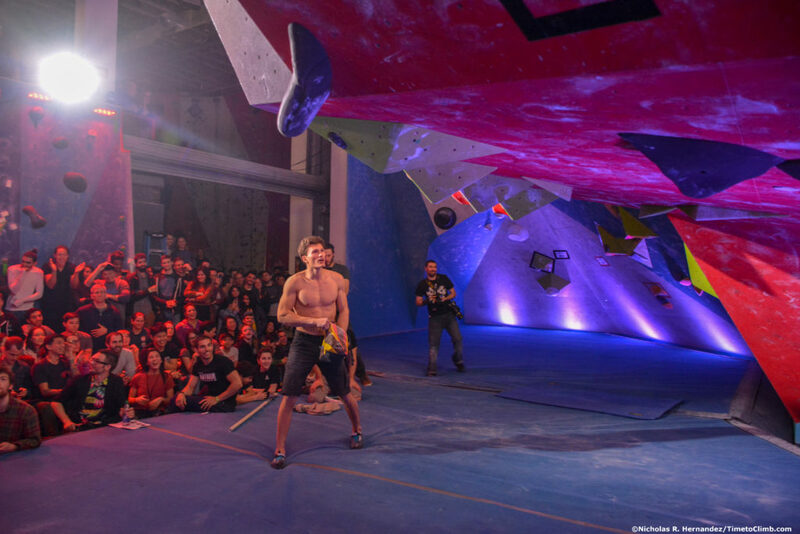 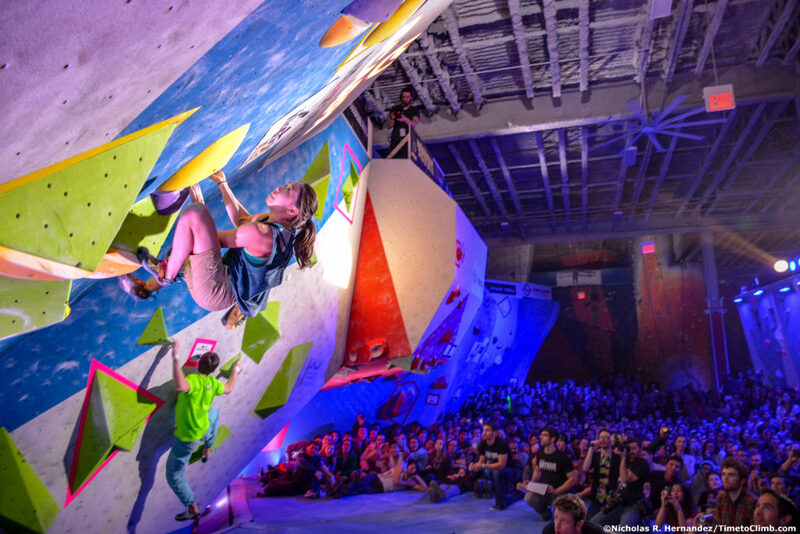 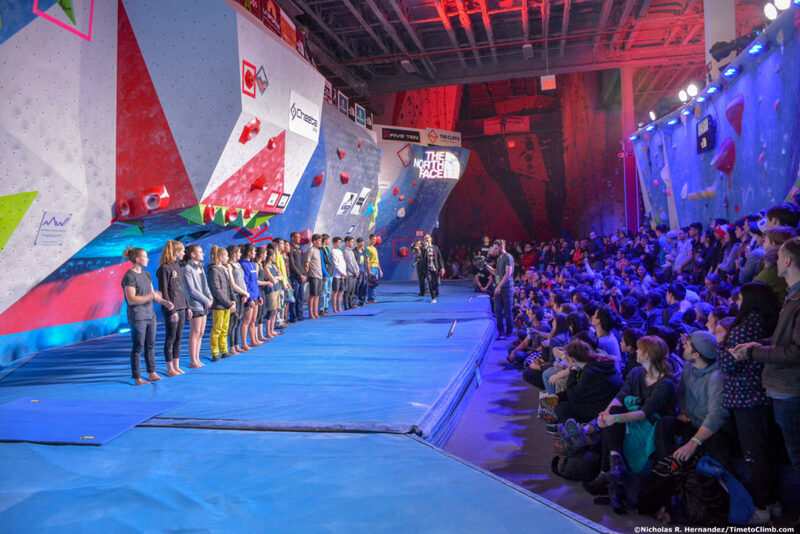 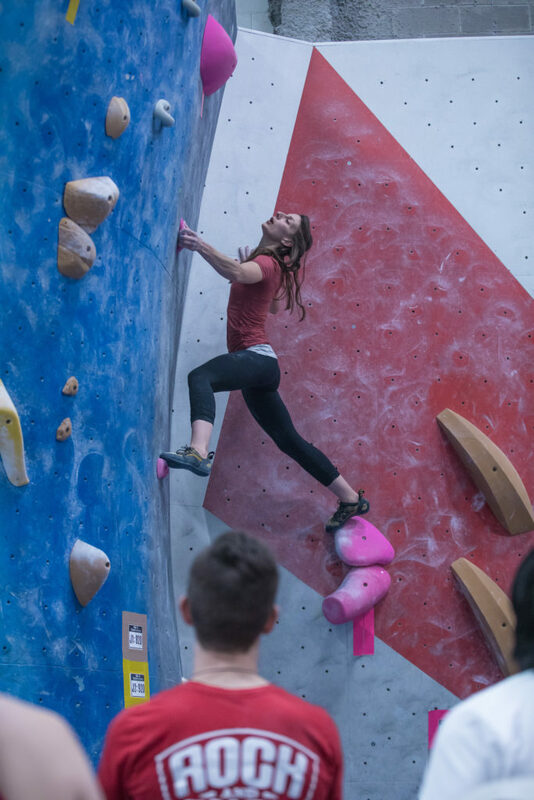 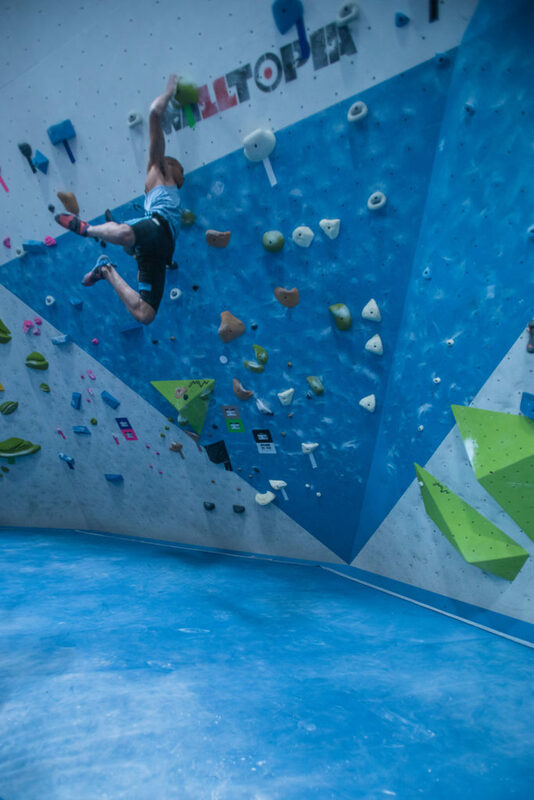 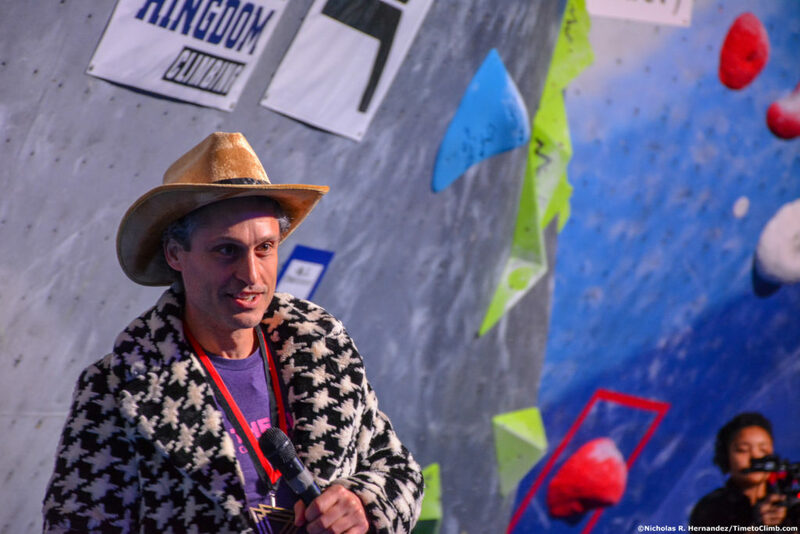 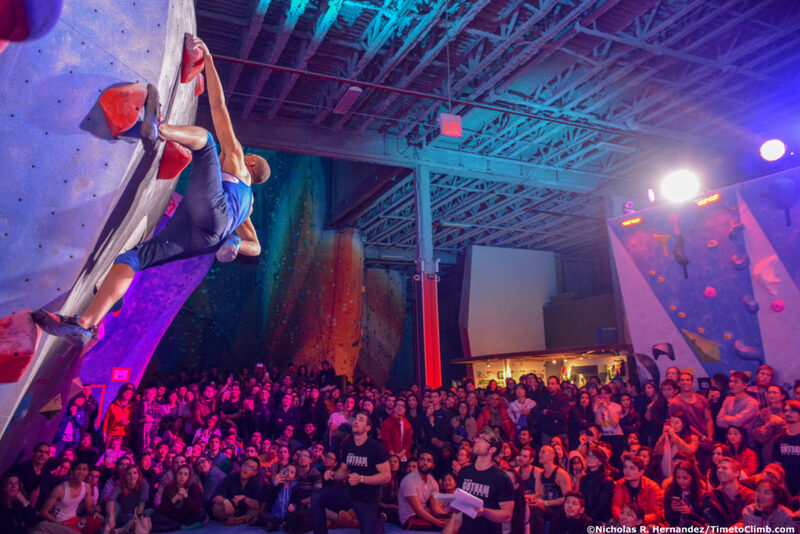 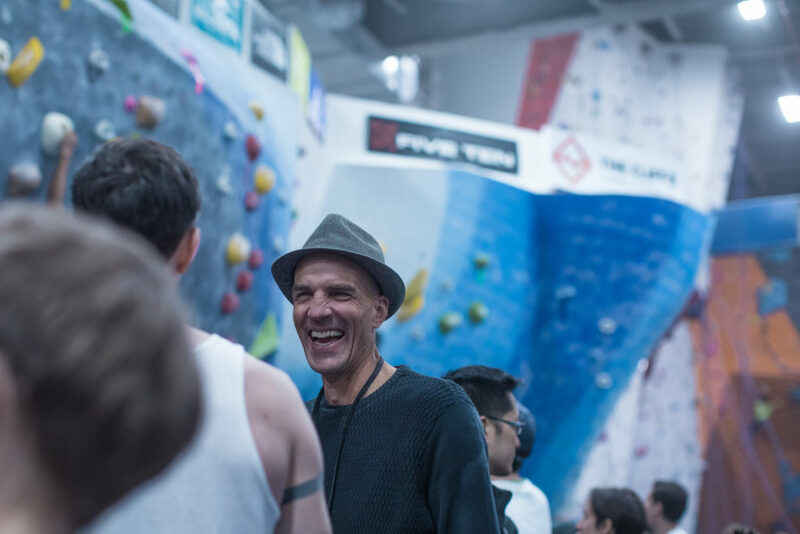 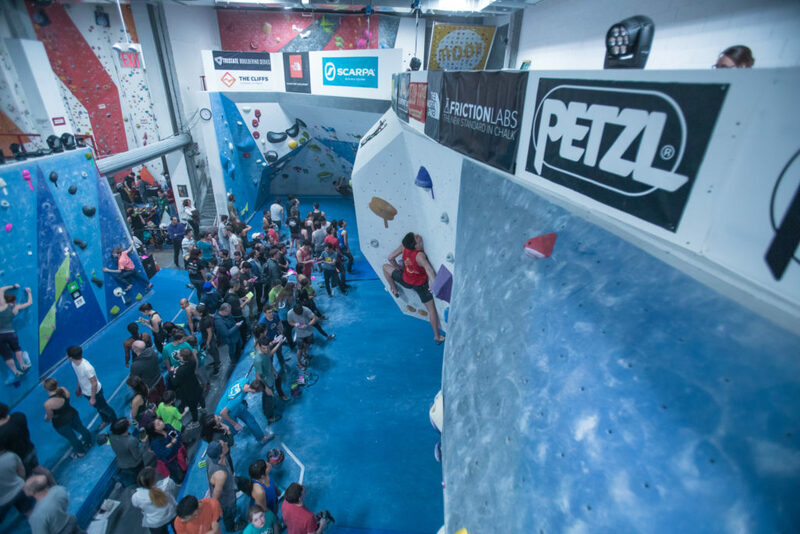 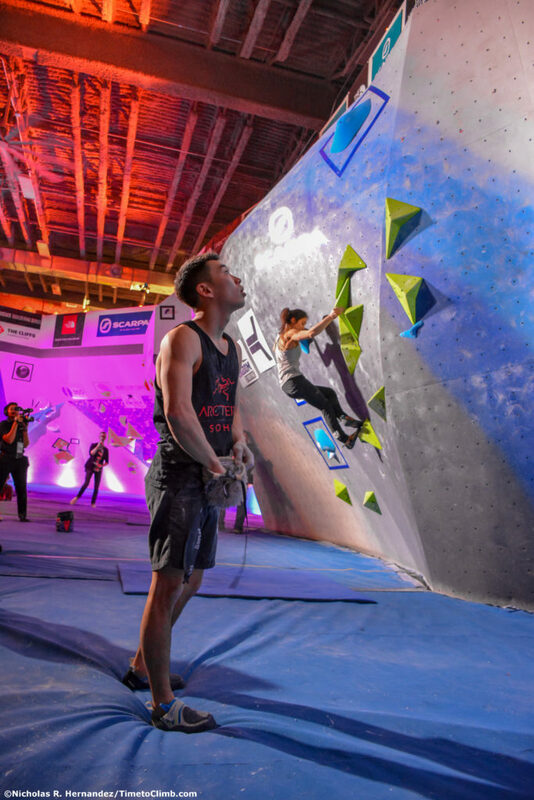 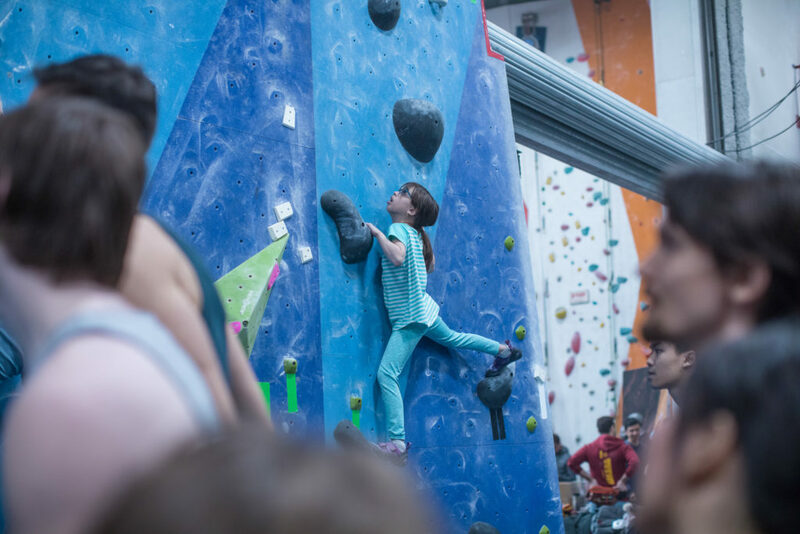 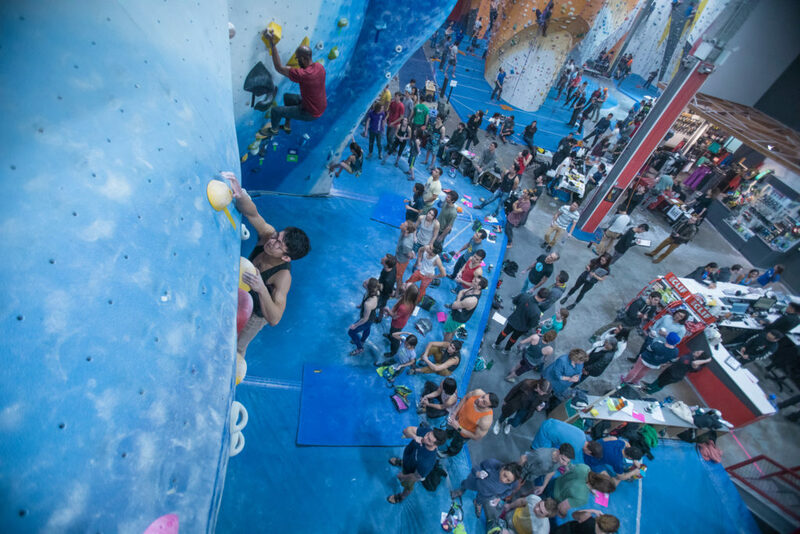 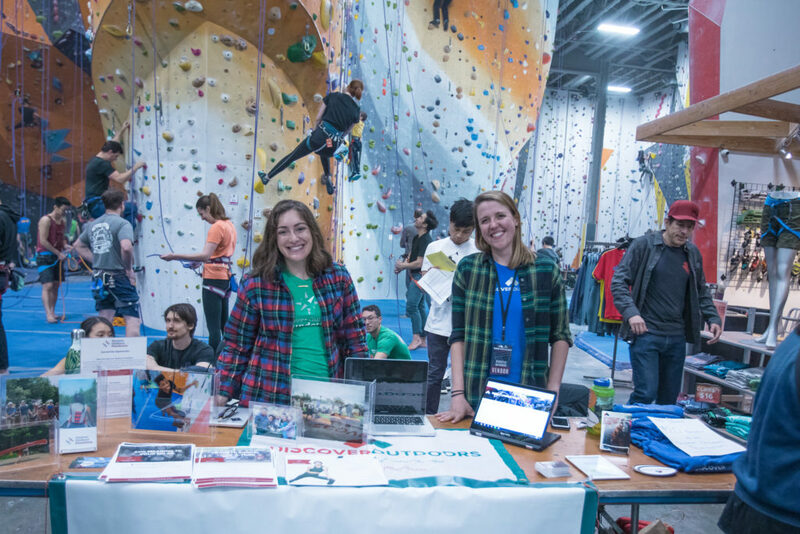 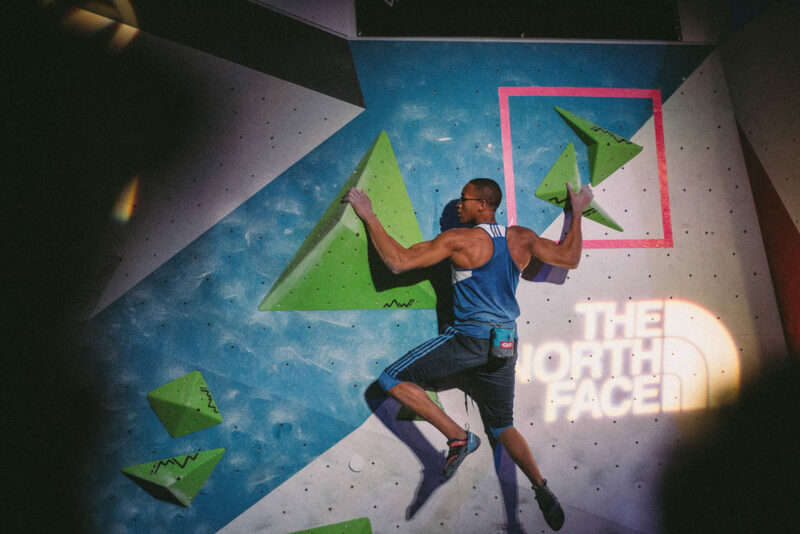 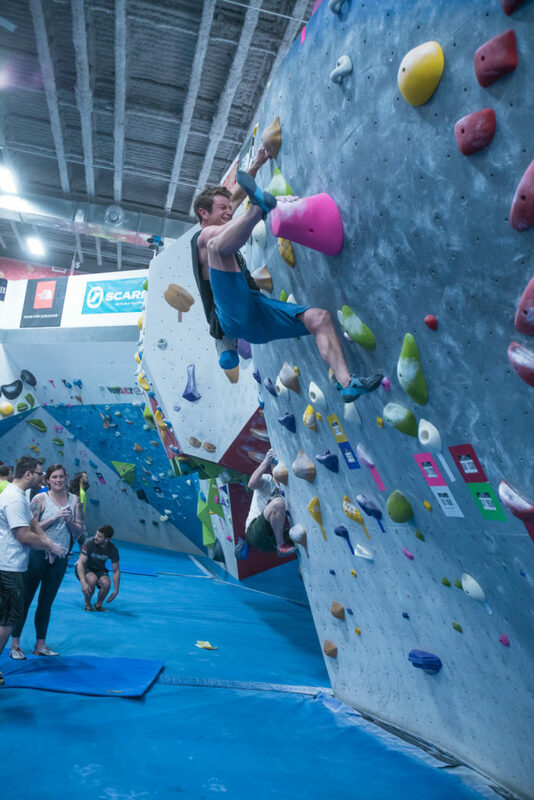 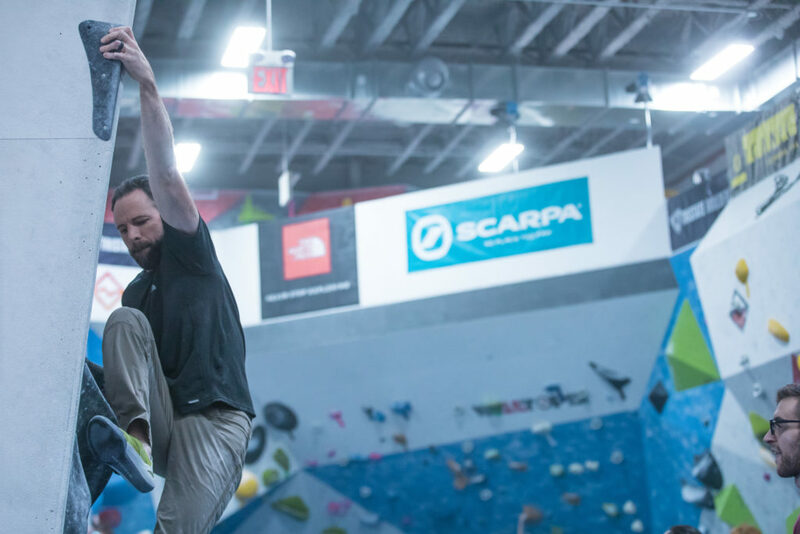 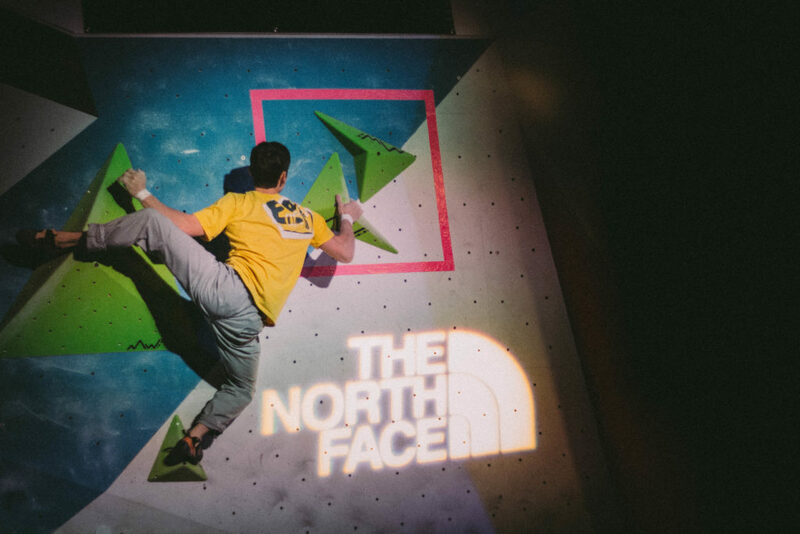 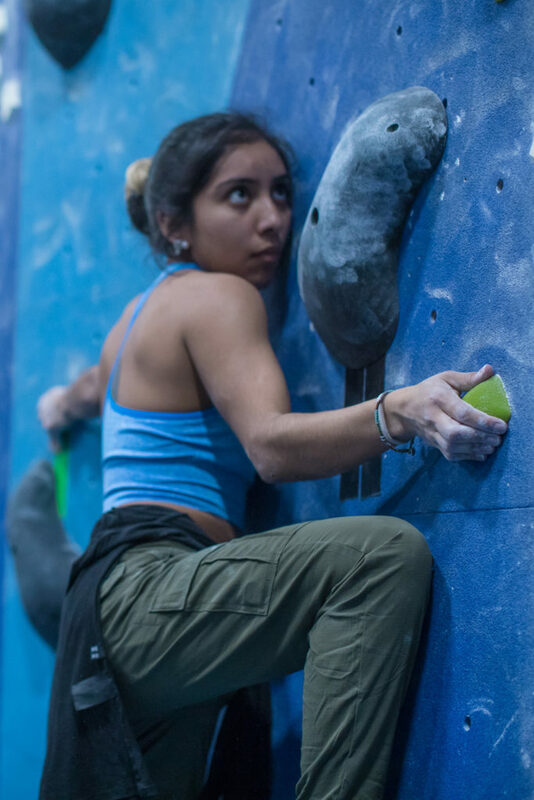 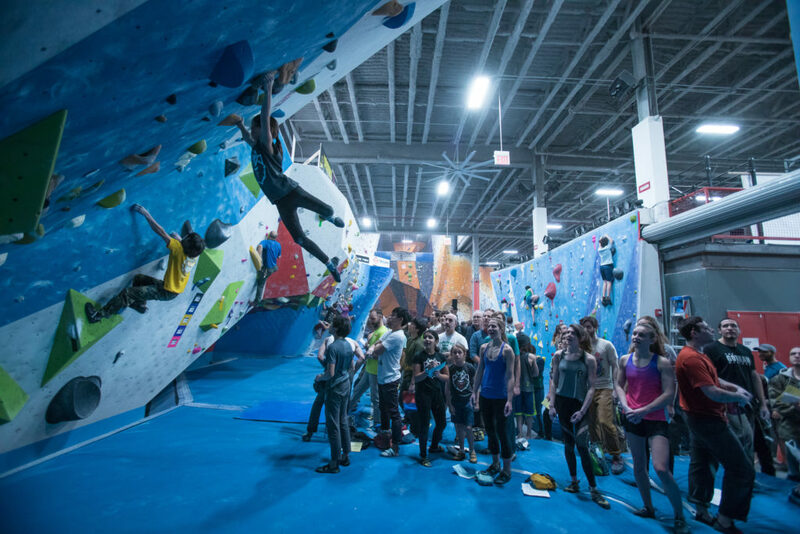 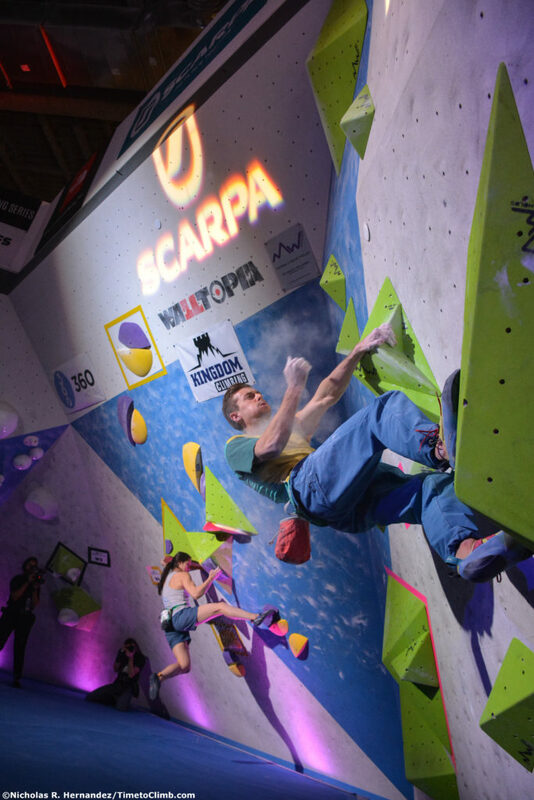 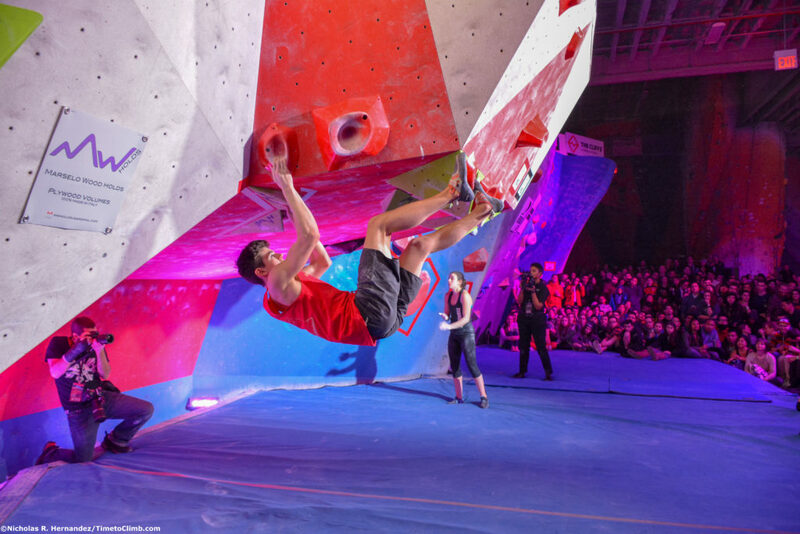 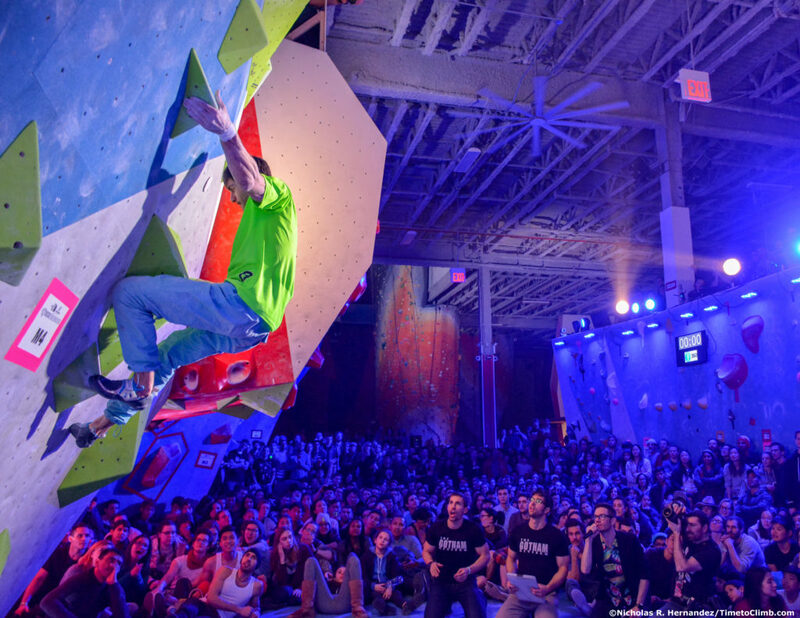 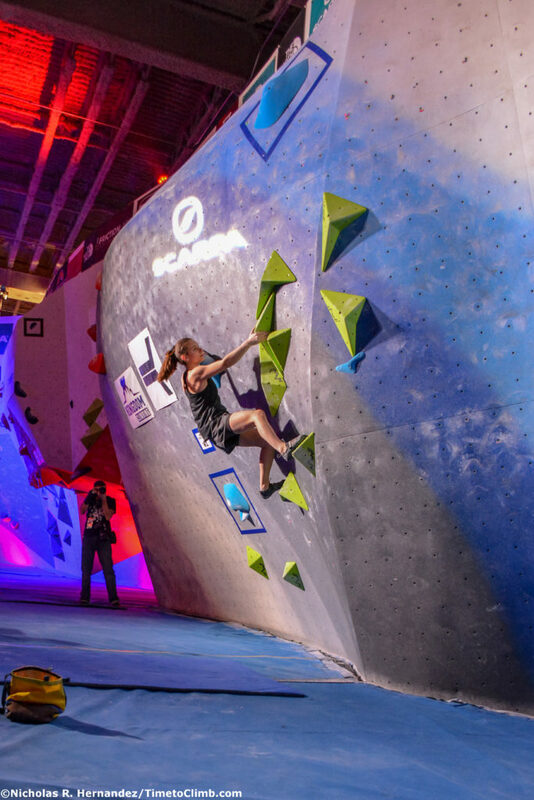 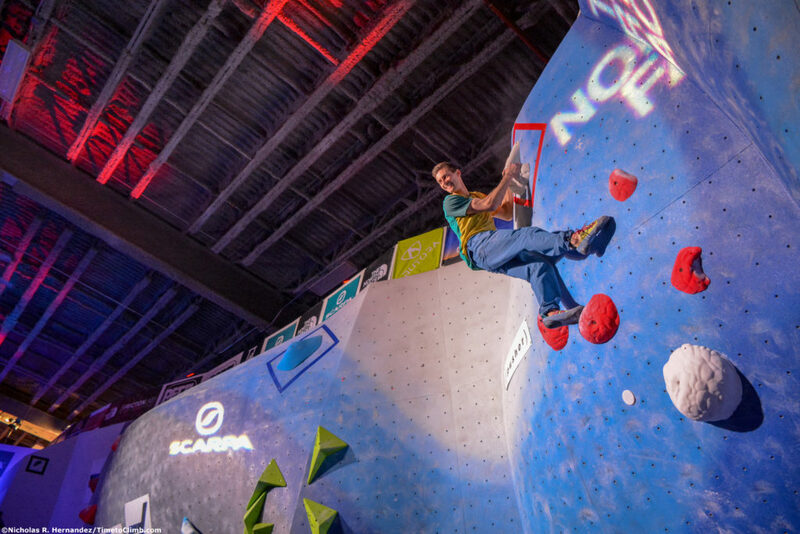 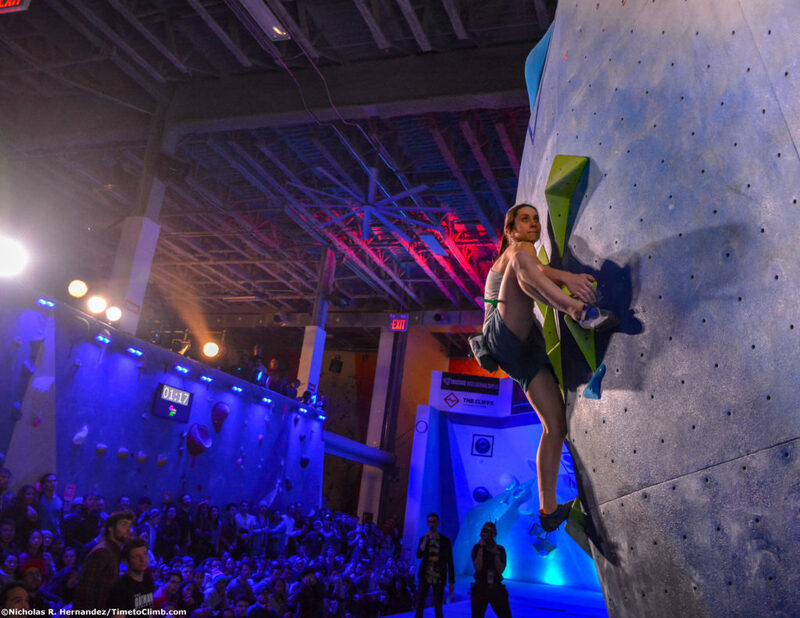 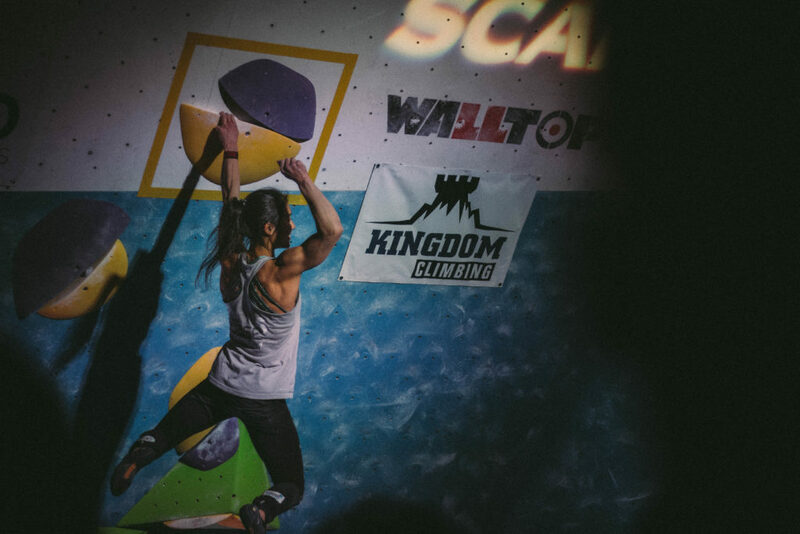 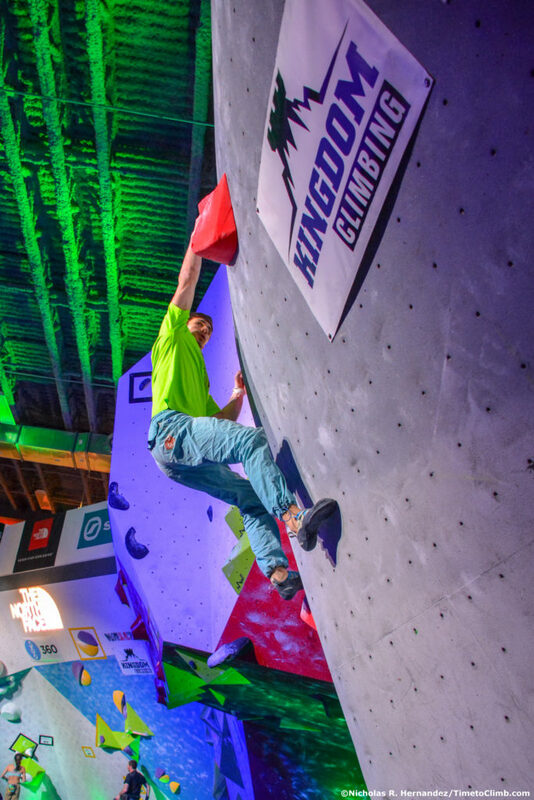 With over 1,000+ competitors and 10’s of thousands of spectators & attendees, the 5-stop bouldering series has etched itself a definitive corner into the climbing community here in the Northeast! 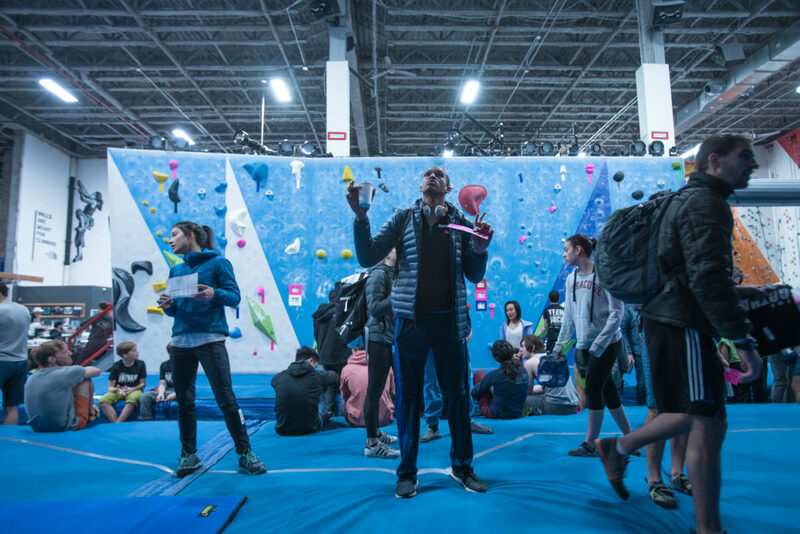 We were excited to be a part of it and can not wait to see what next year holds for this no longer fledgling but in fact one of the leading comp series in the United States!